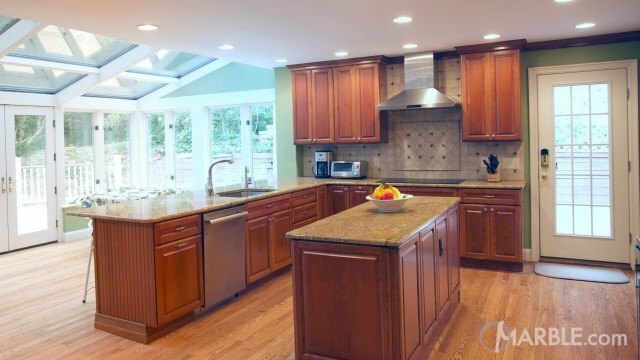 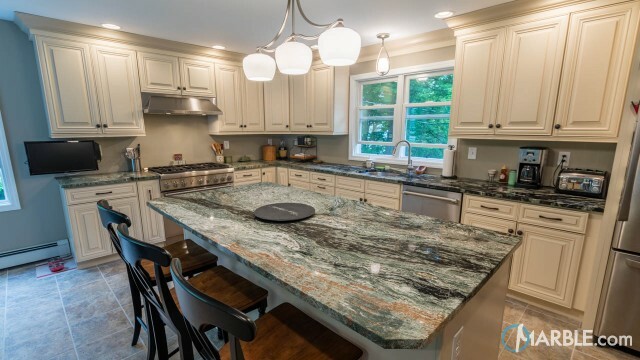 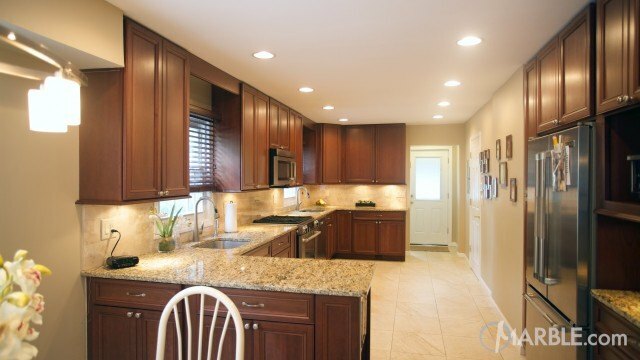 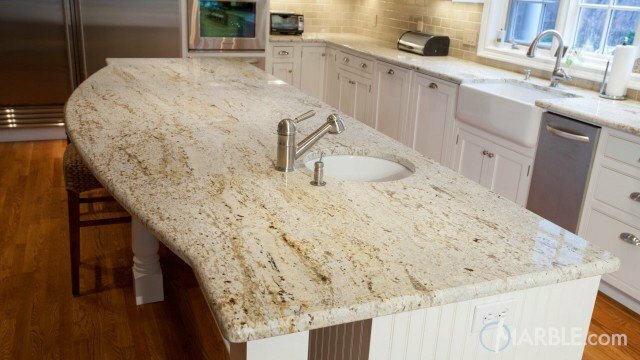 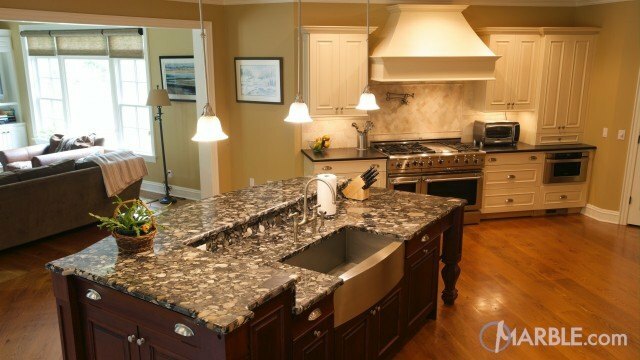 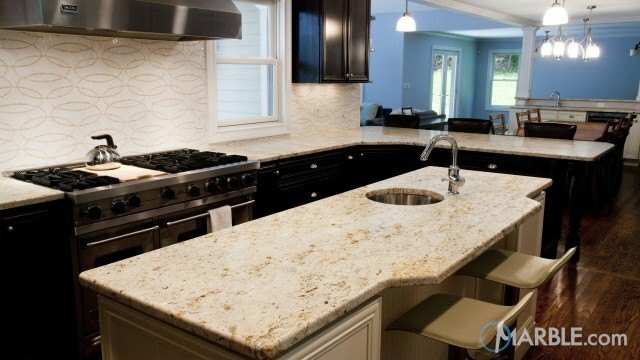 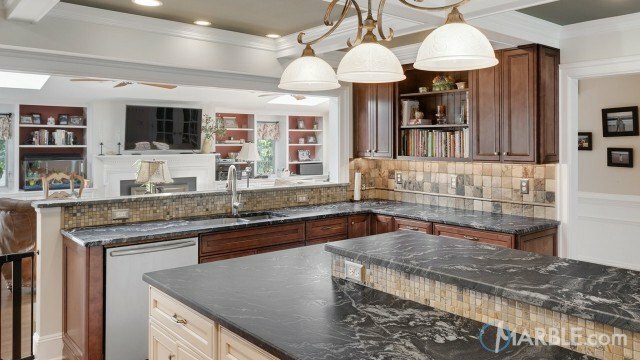 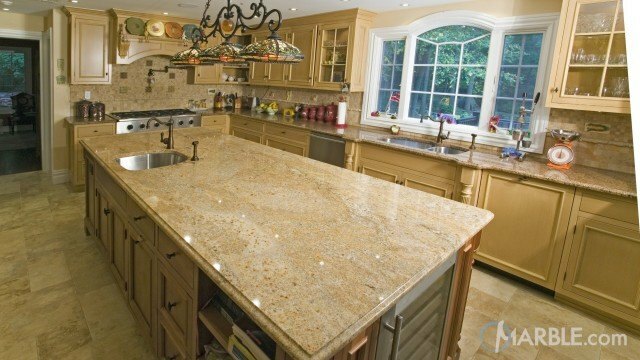 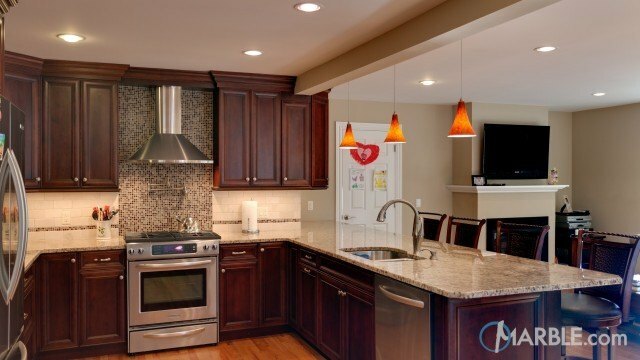 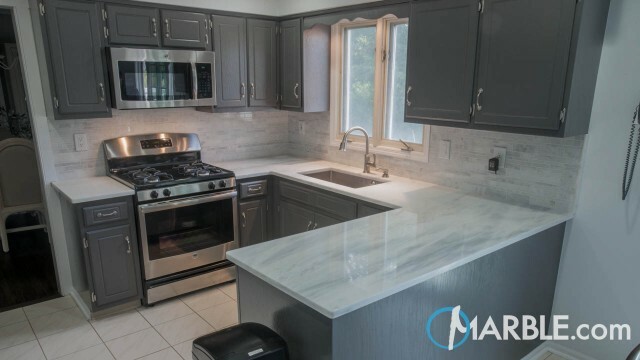 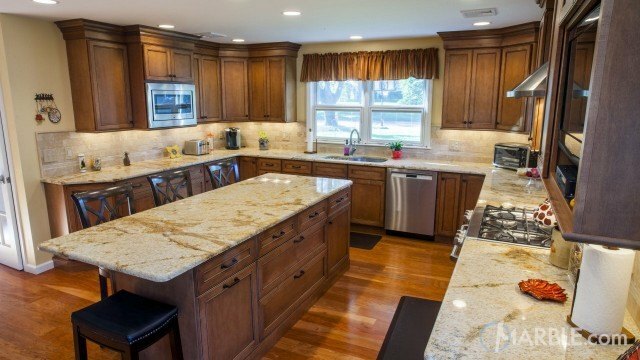 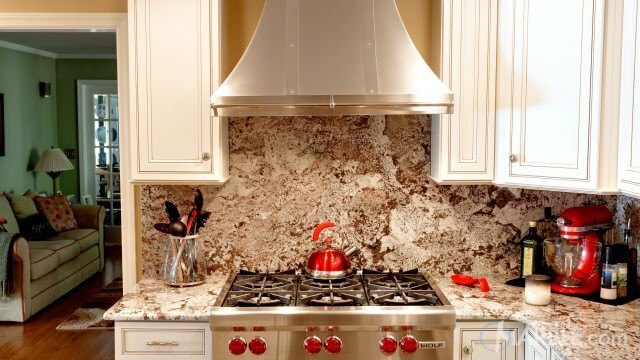 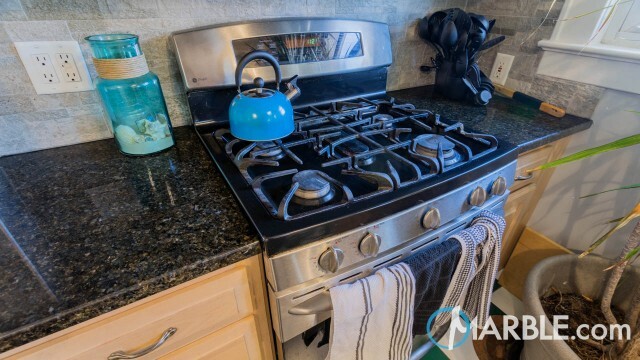 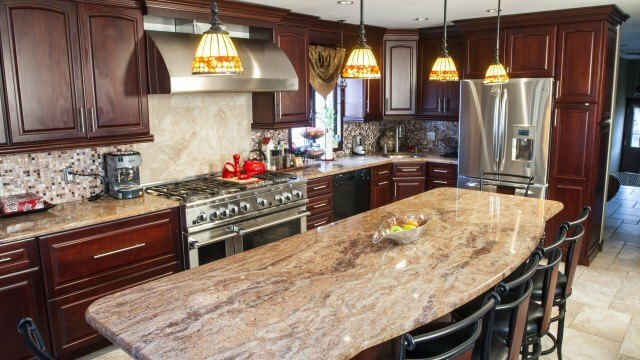 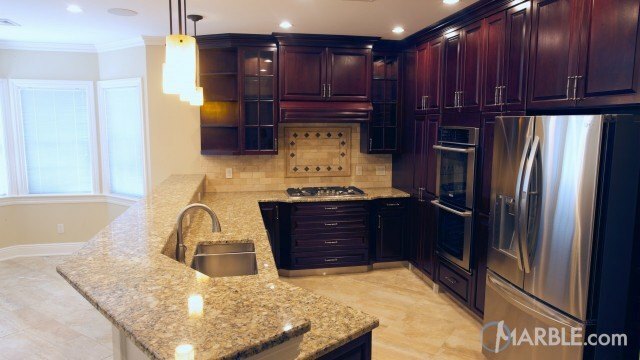 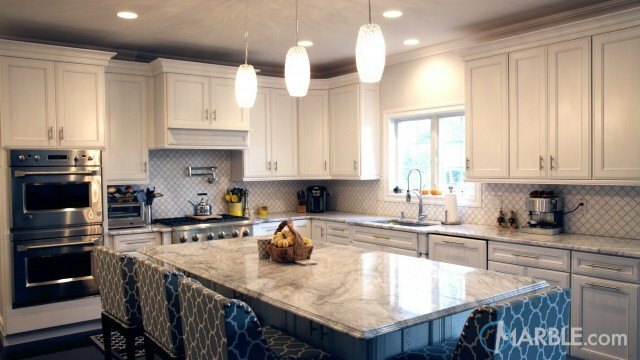 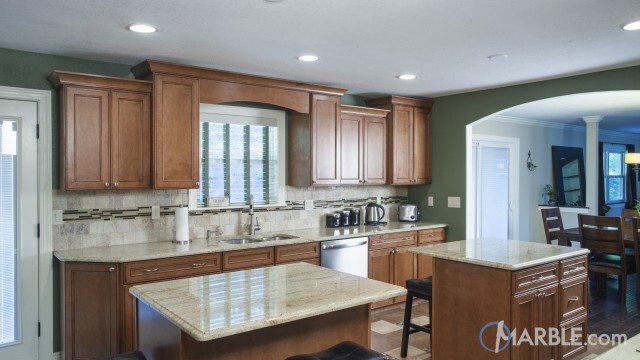 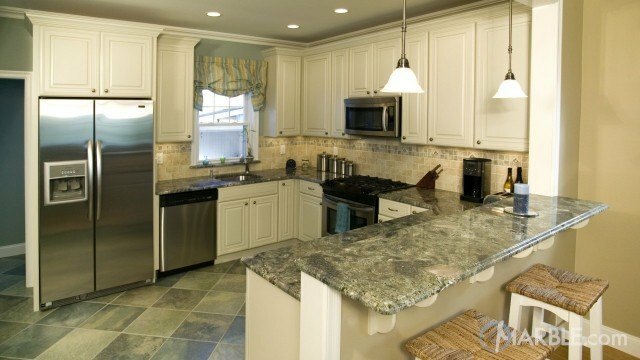 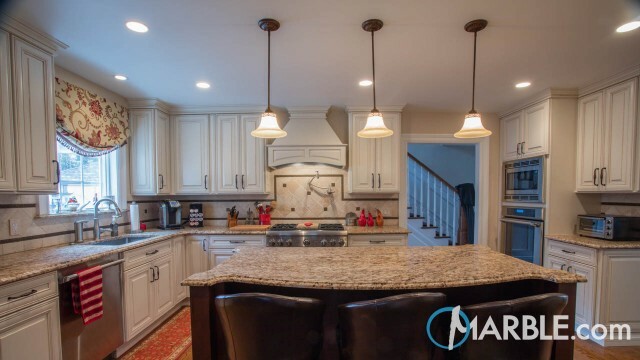 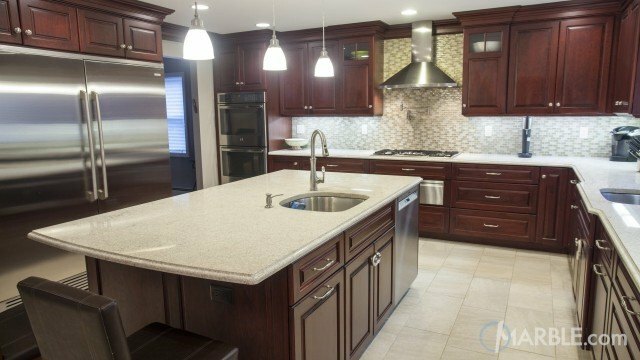 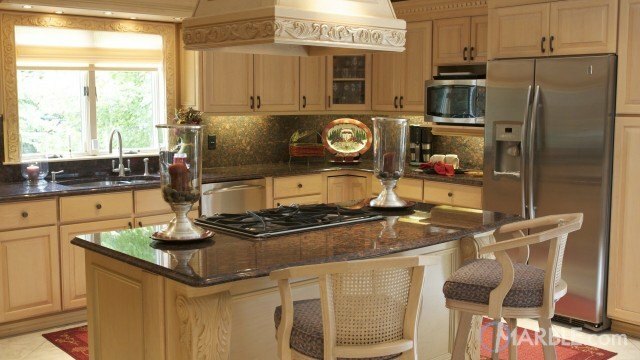 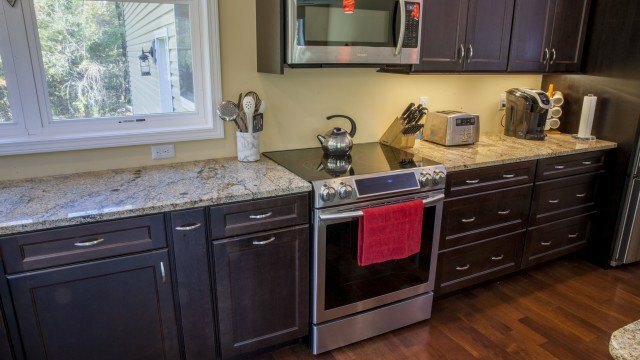 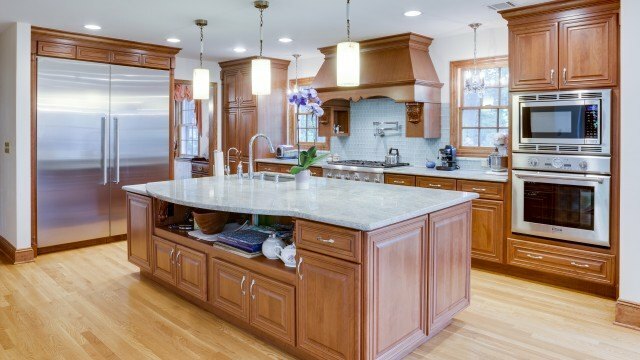 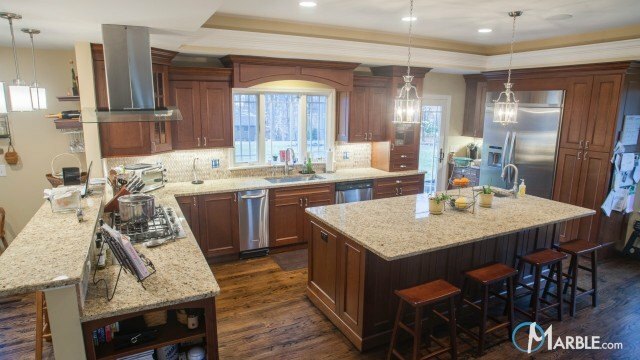 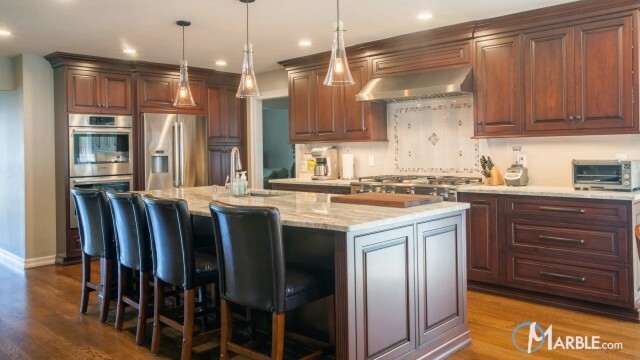 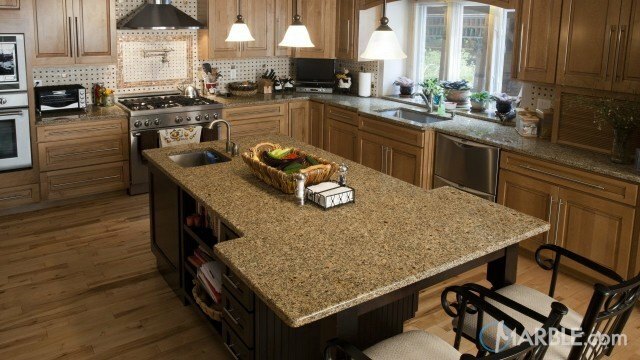 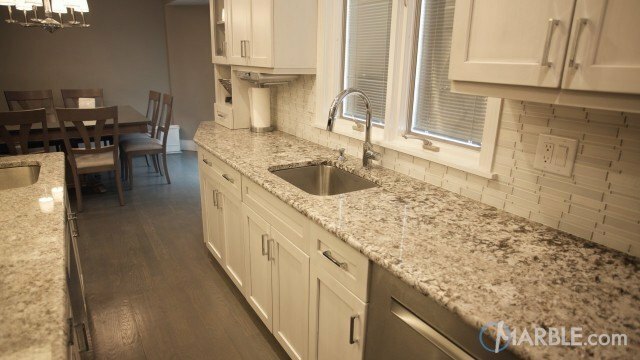 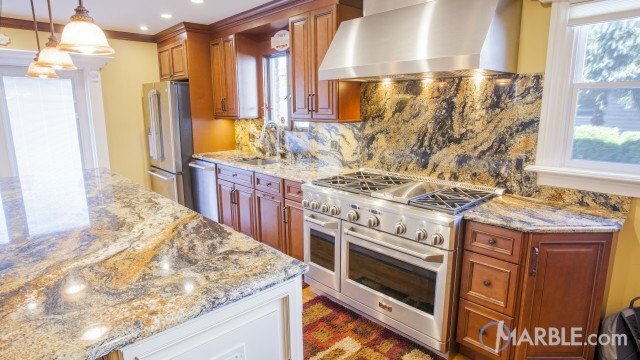 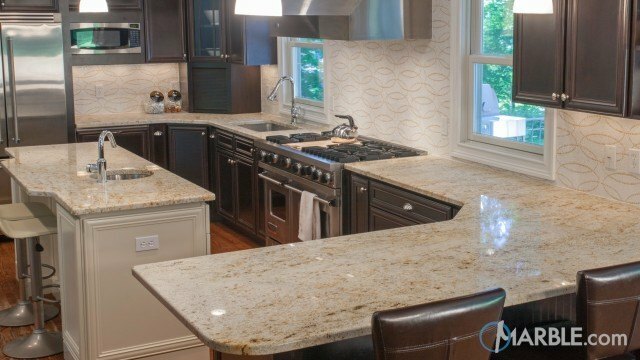 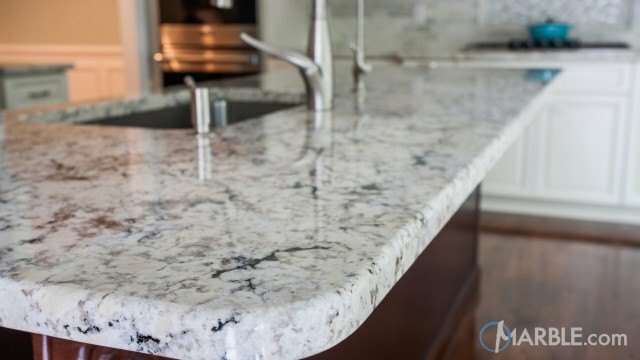 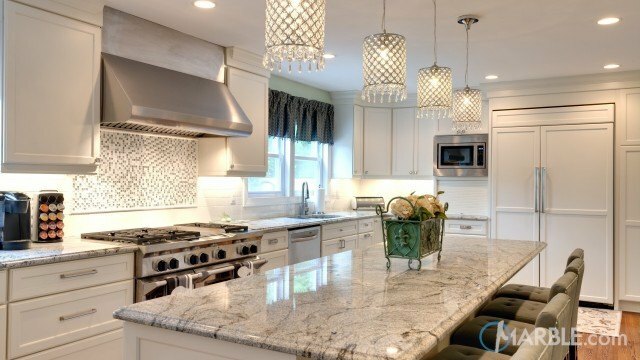 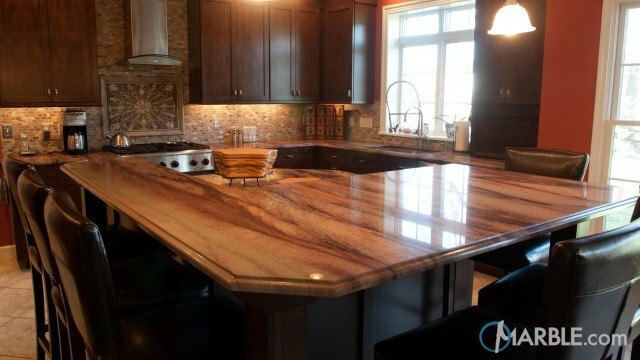 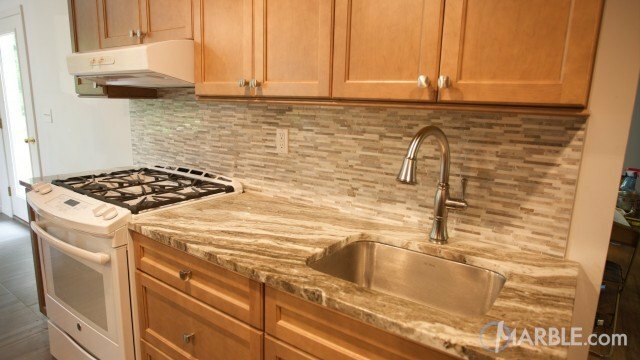 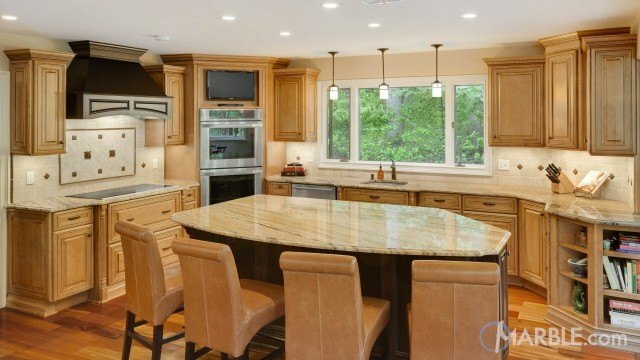 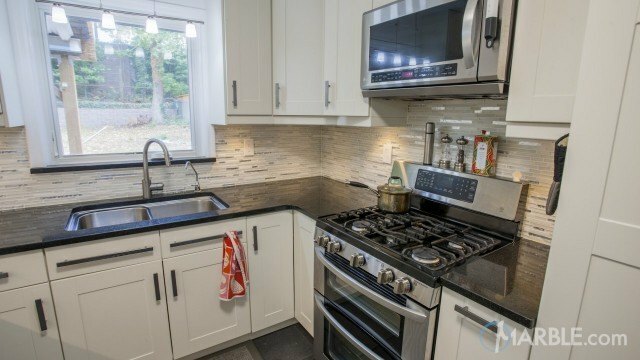 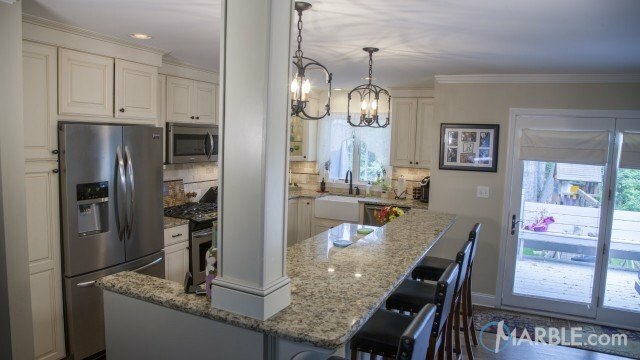 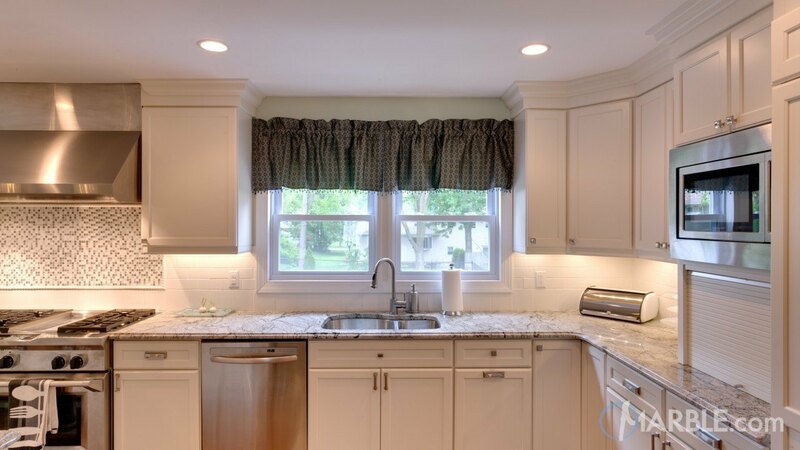 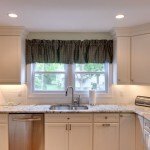 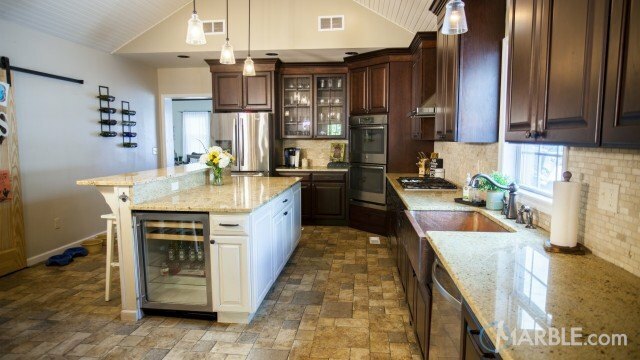 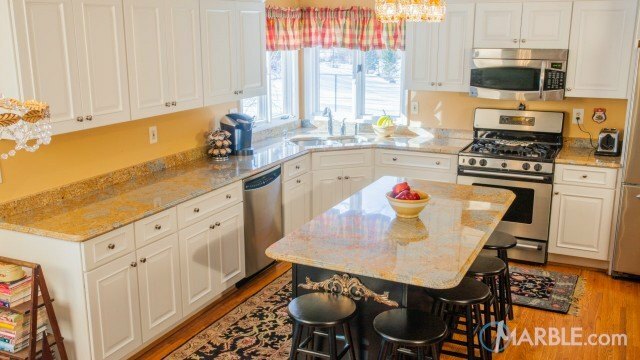 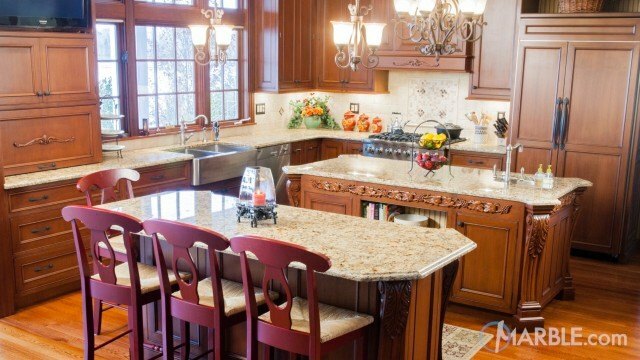 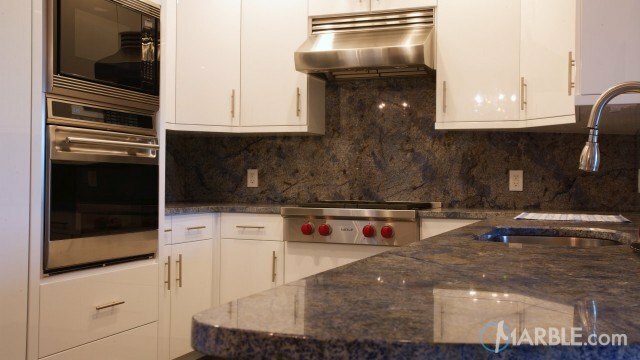 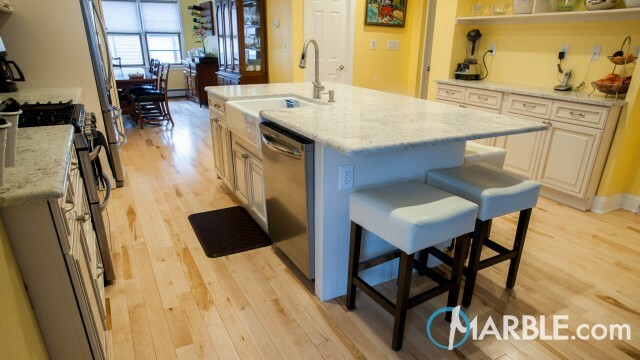 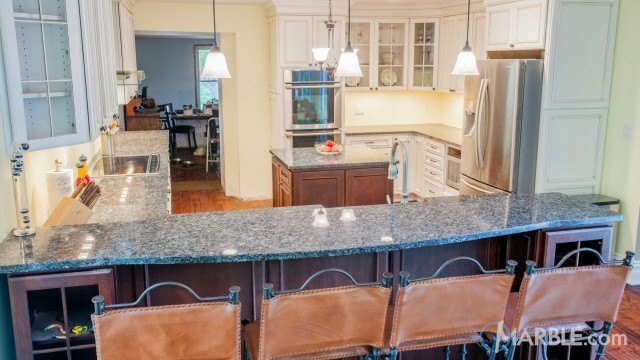 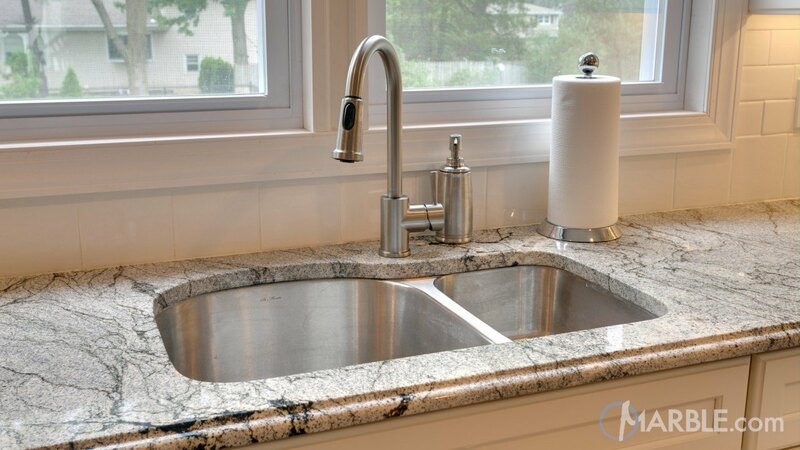 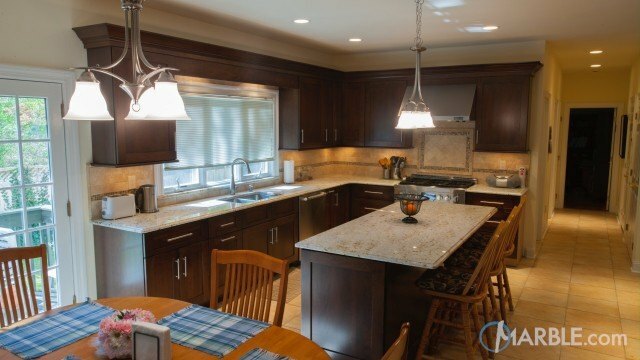 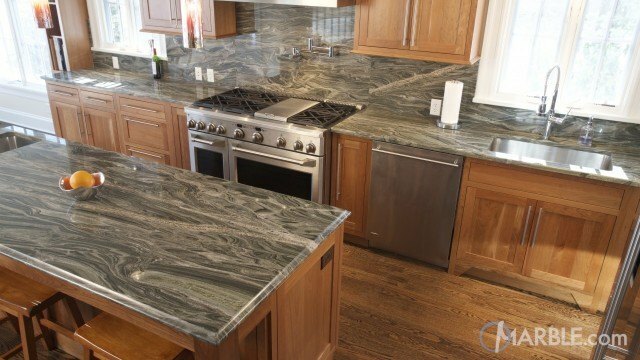 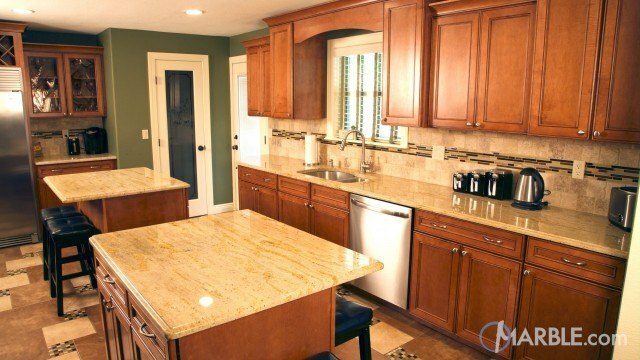 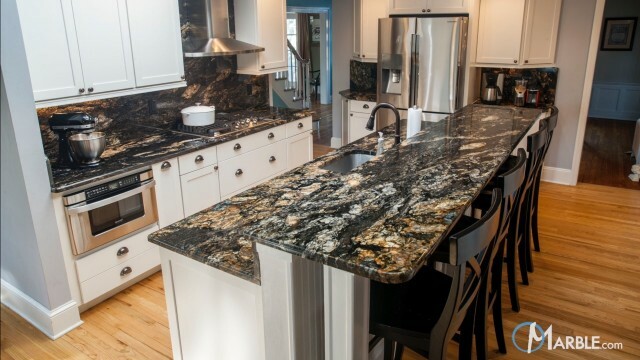 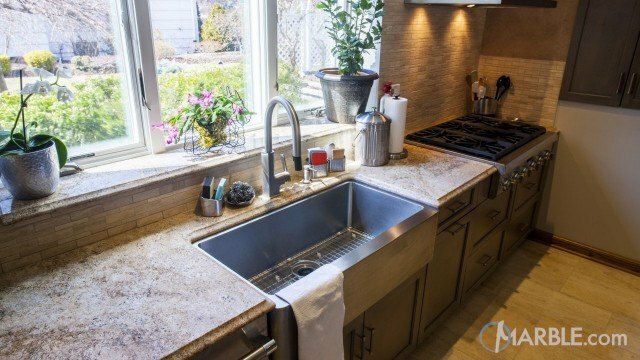 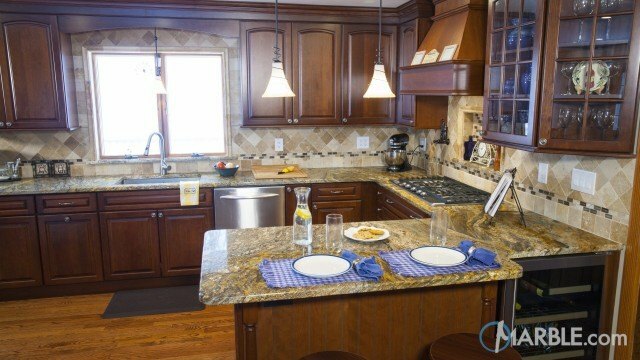 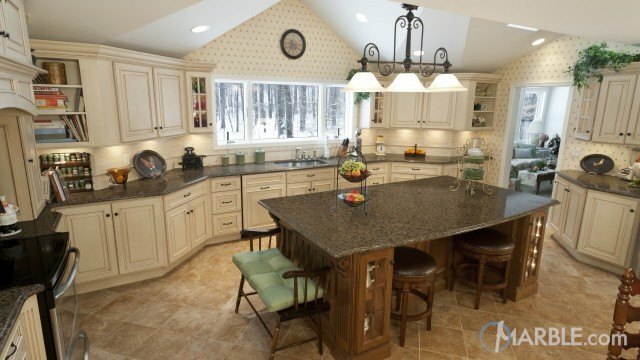 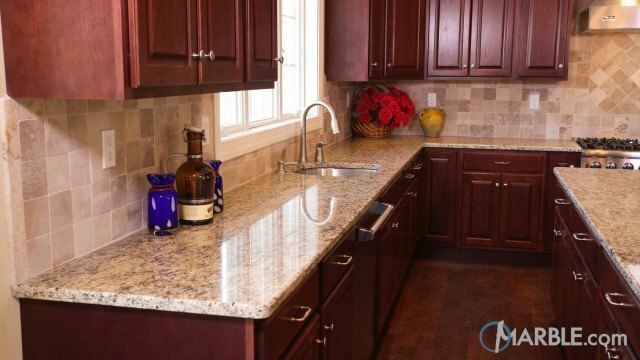 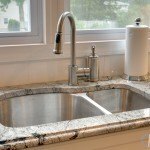 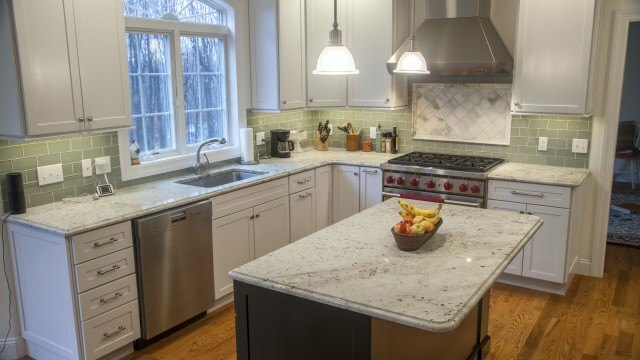 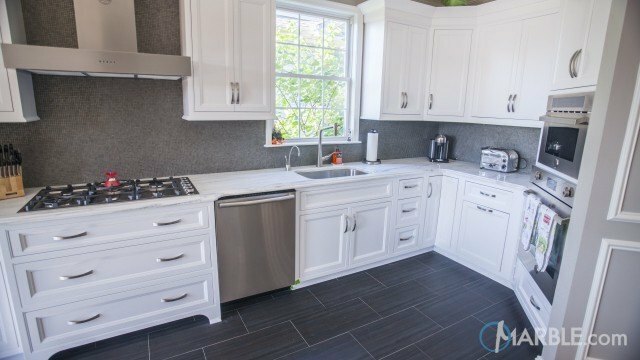 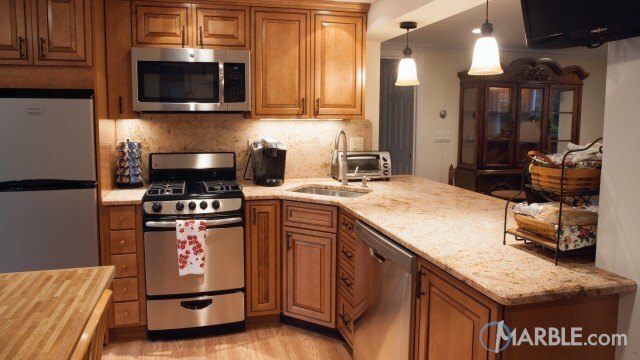 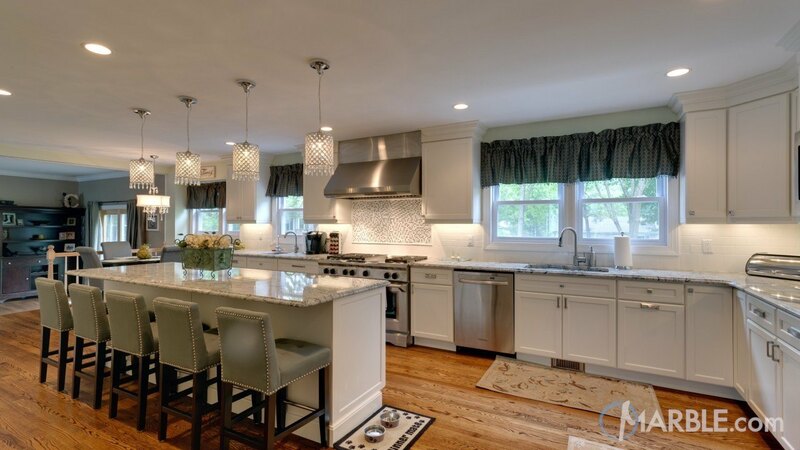 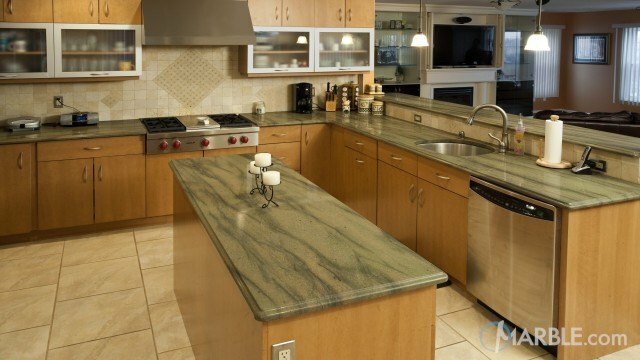 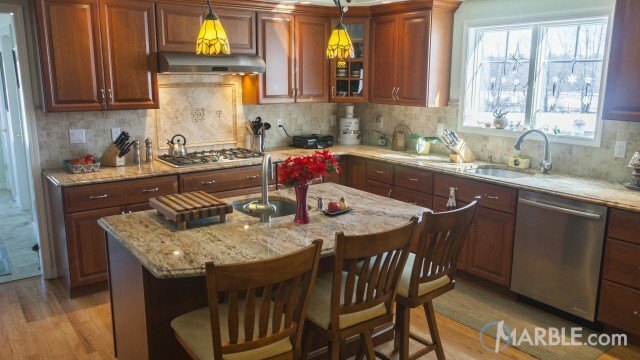 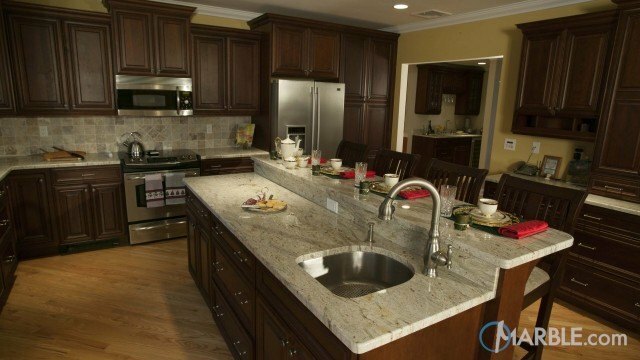 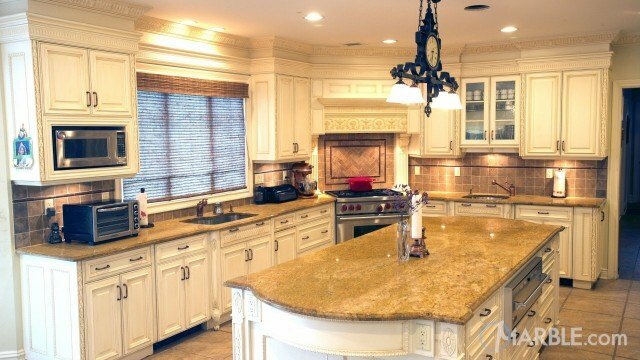 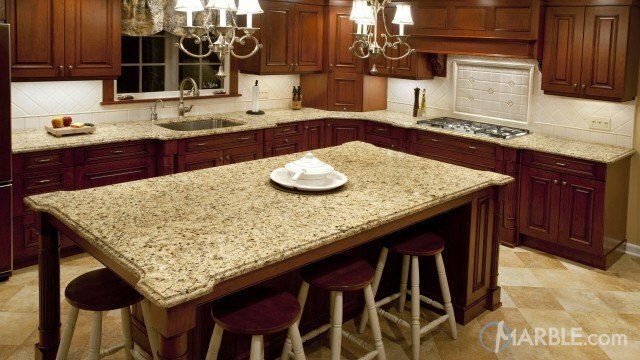 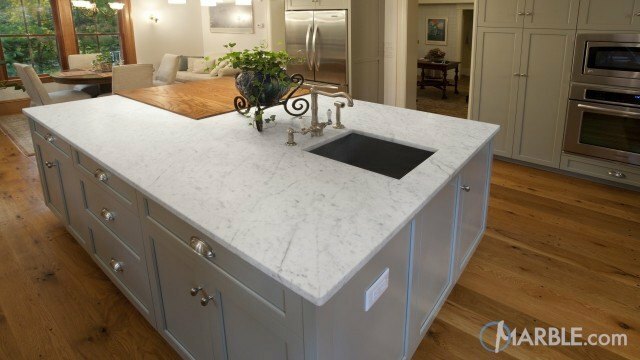 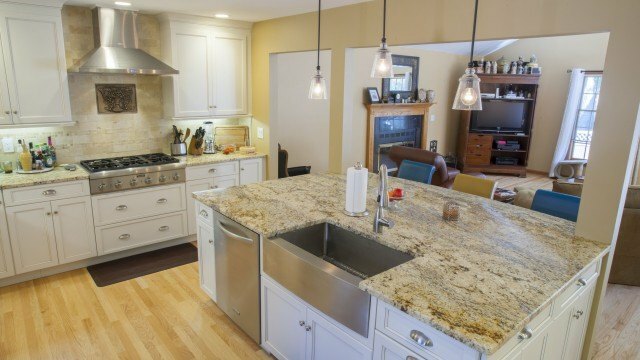 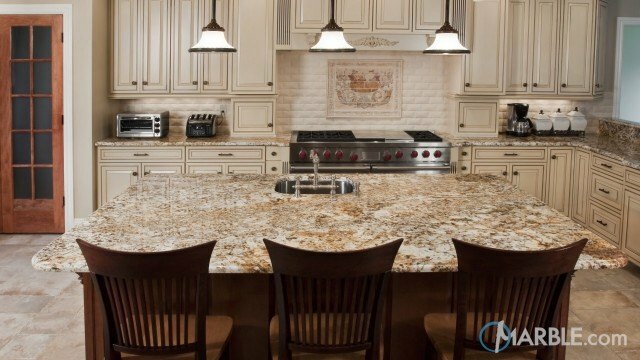 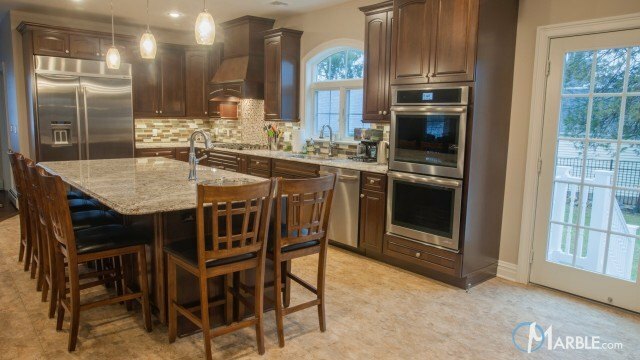 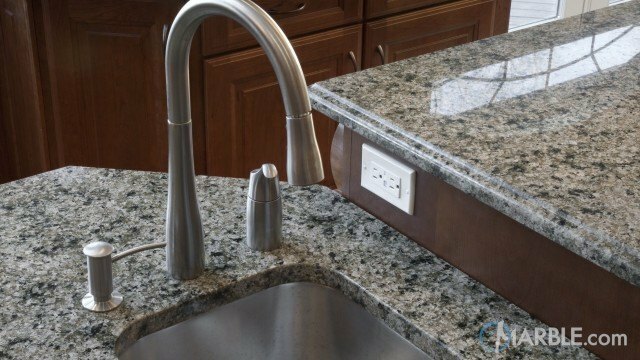 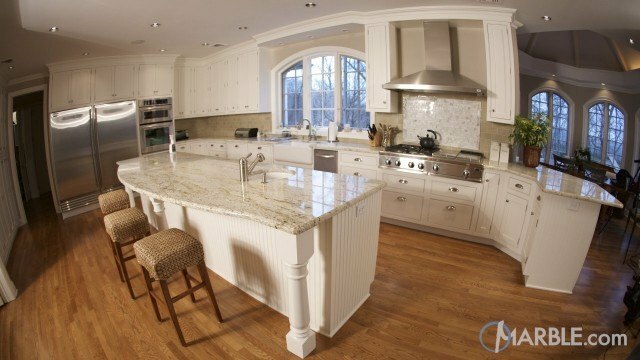 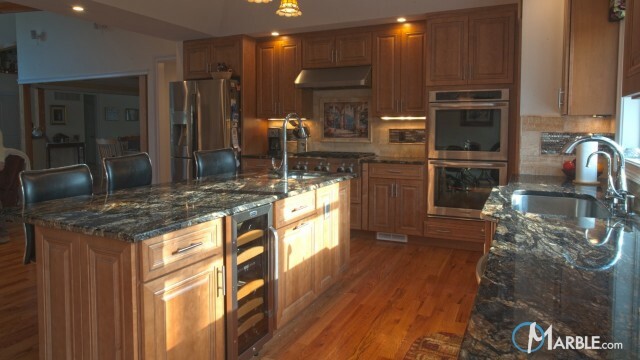 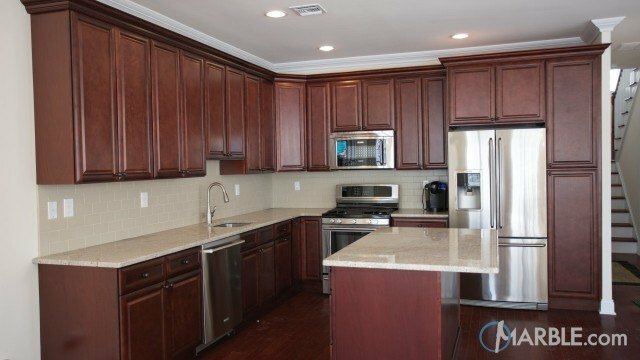 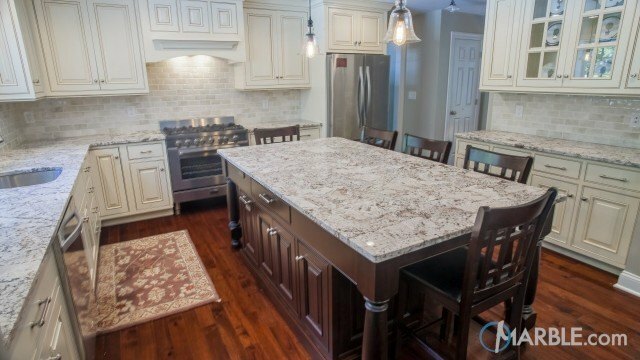 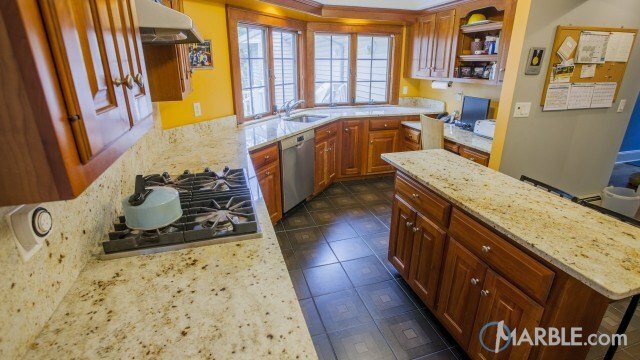 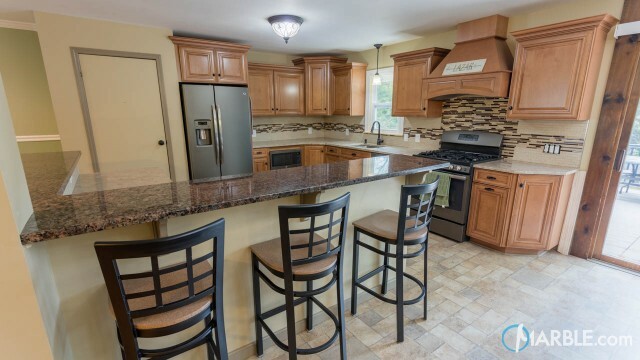 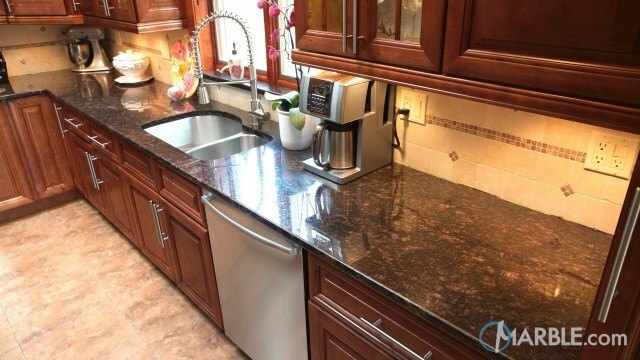 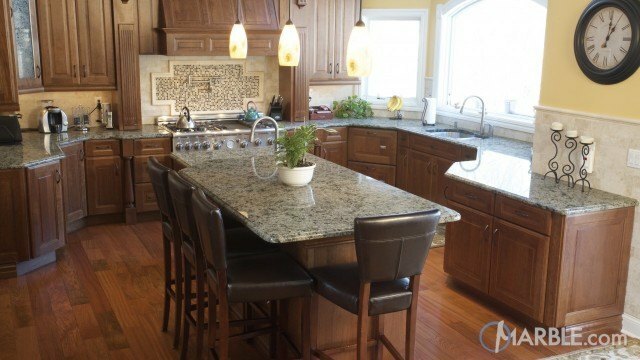 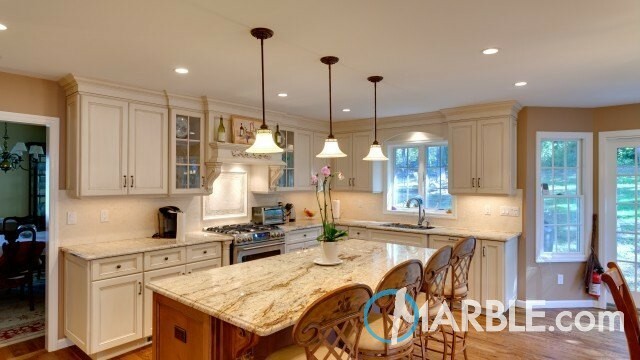 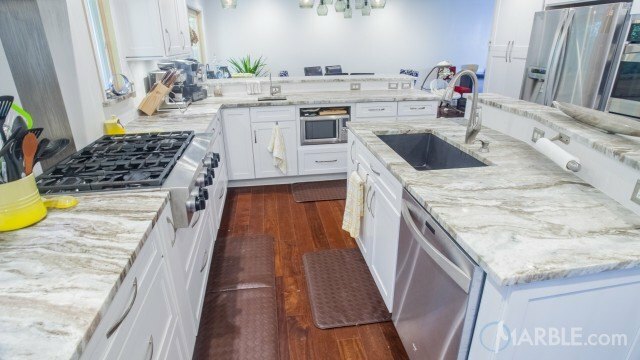 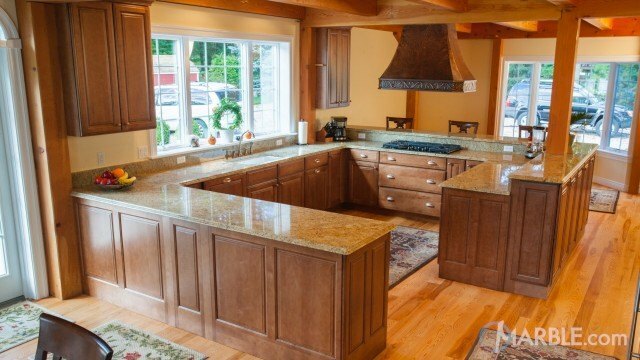 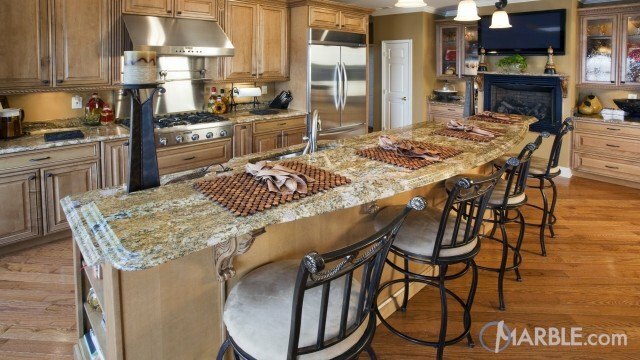 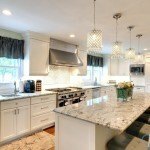 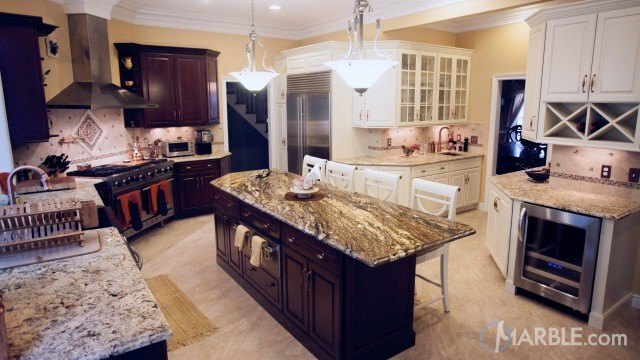 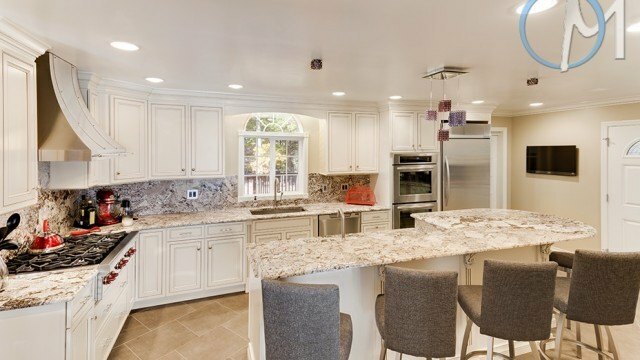 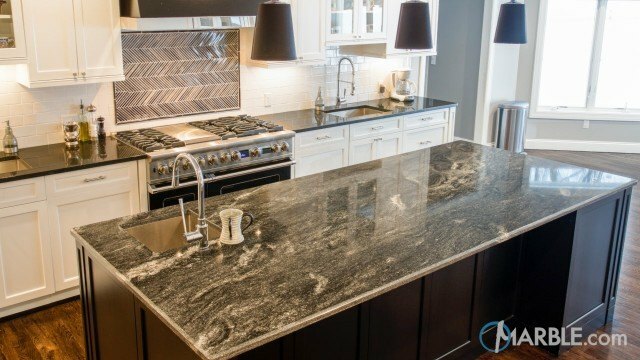 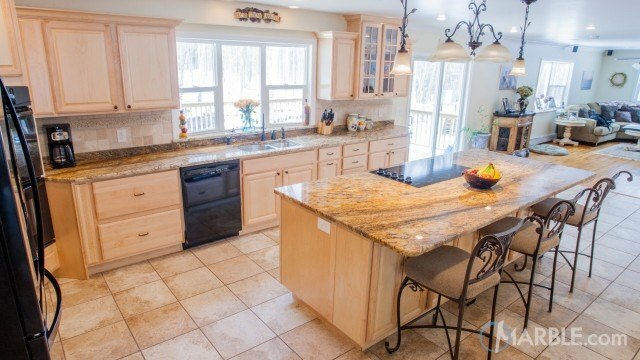 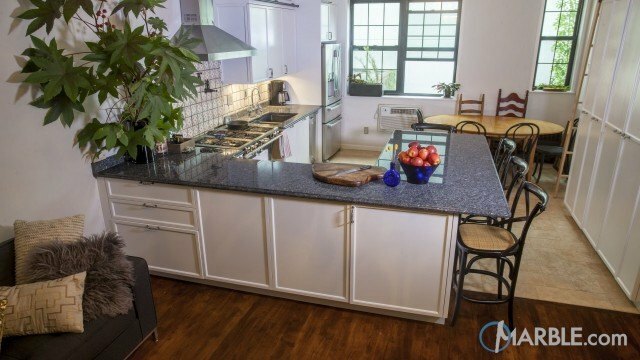 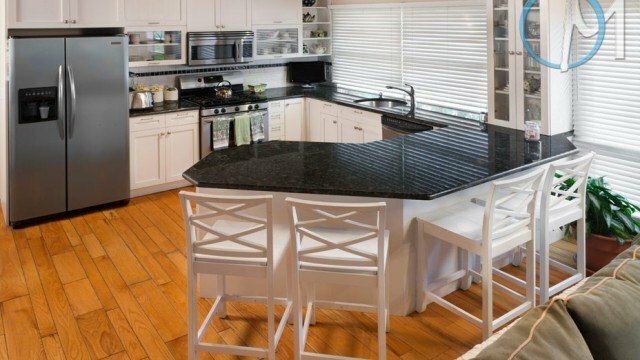 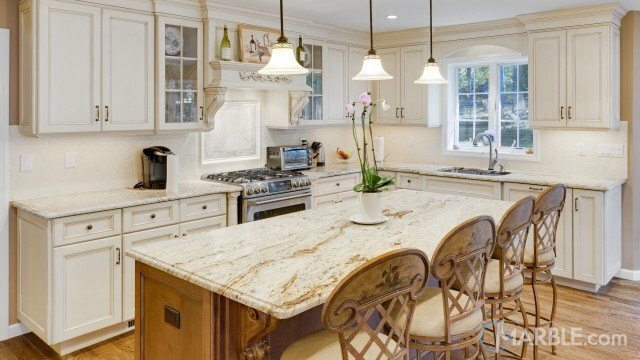 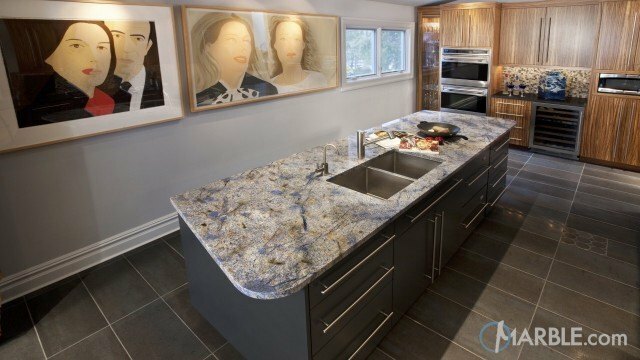 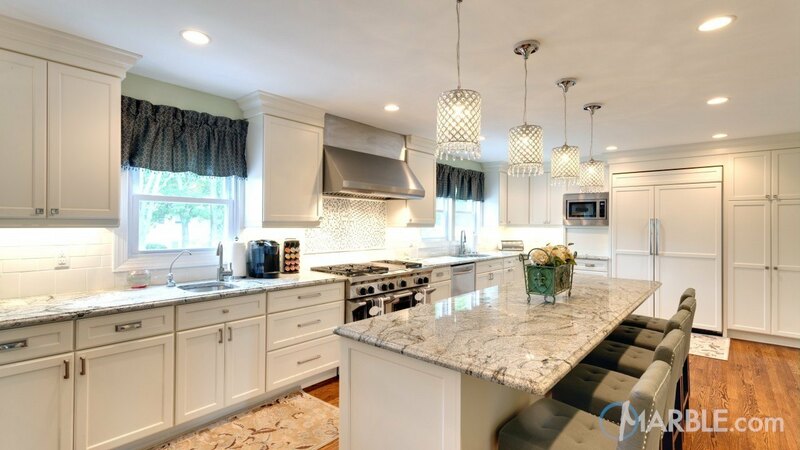 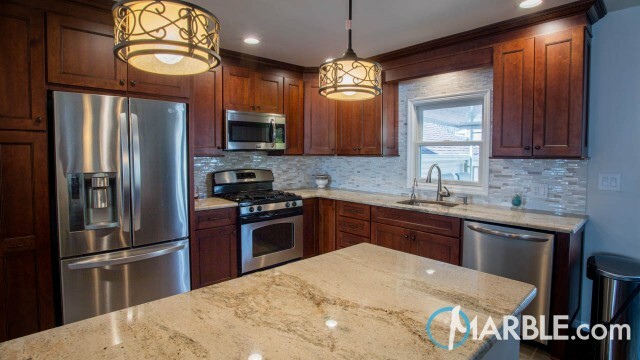 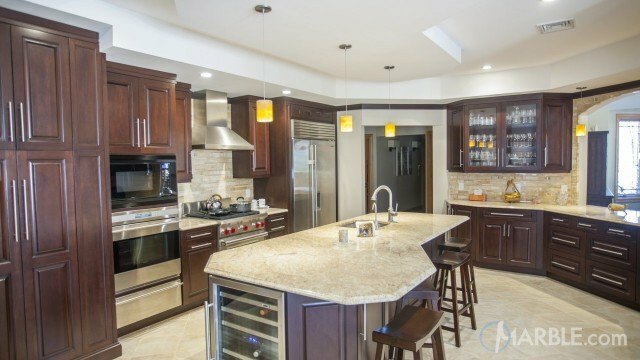 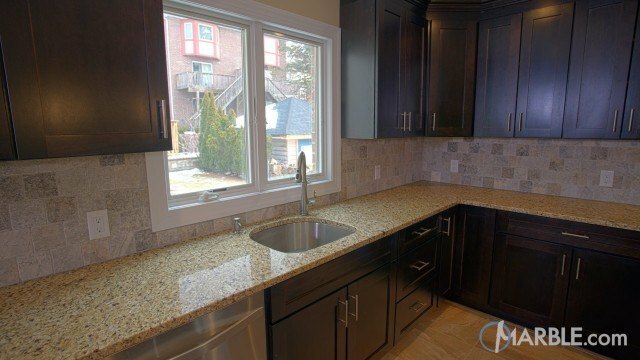 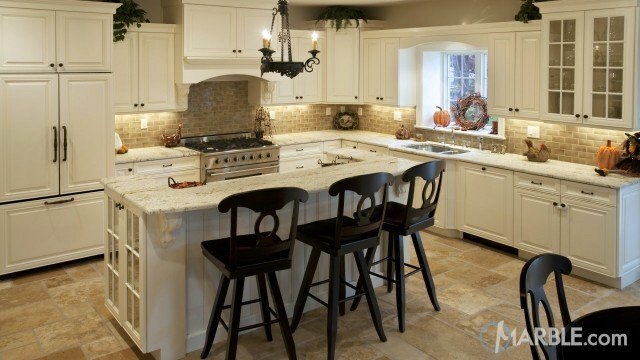 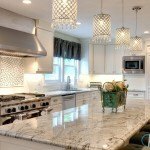 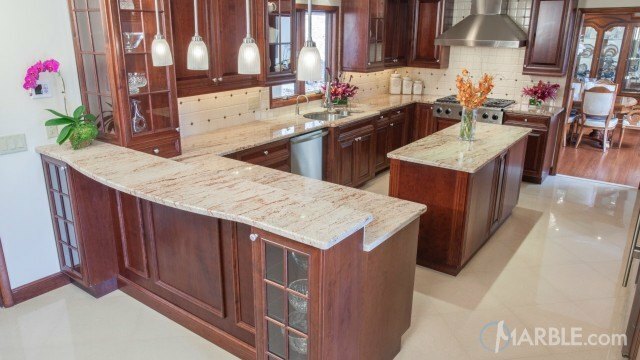 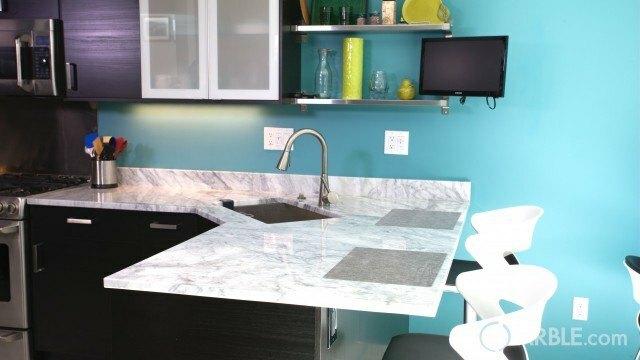 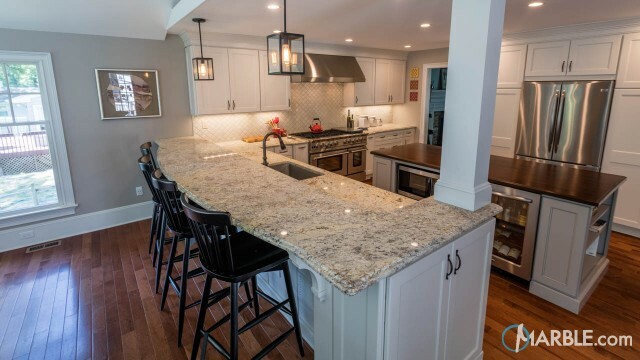 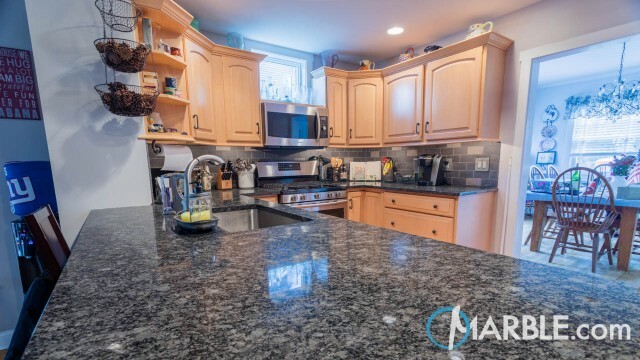 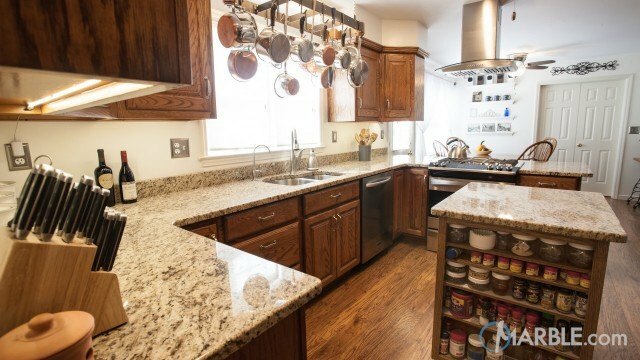 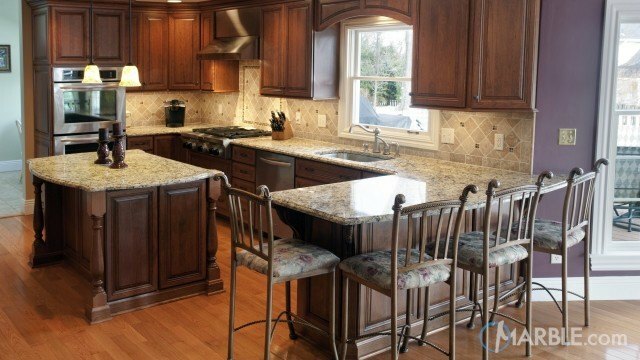 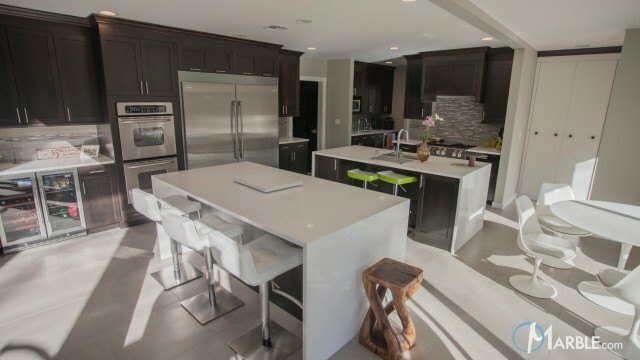 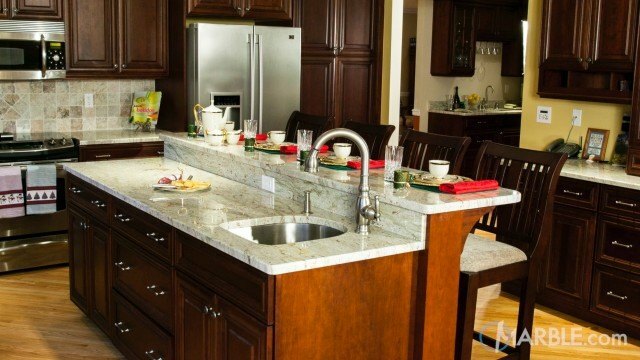 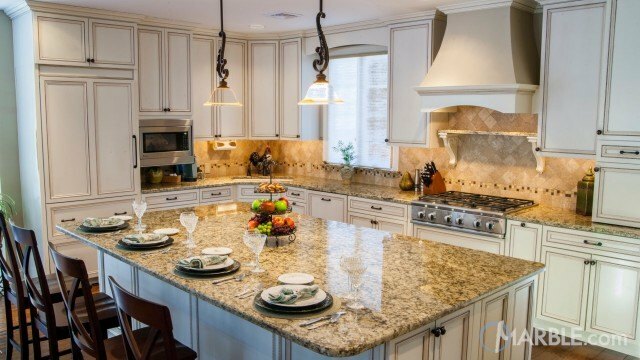 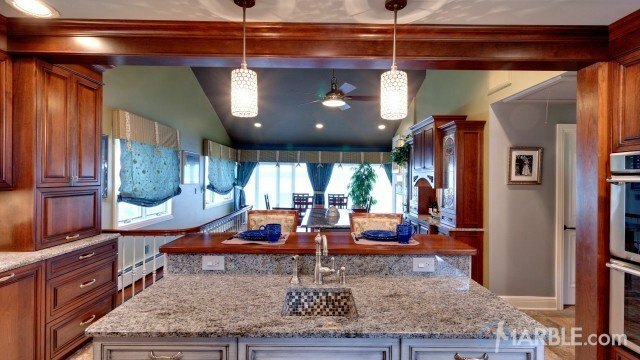 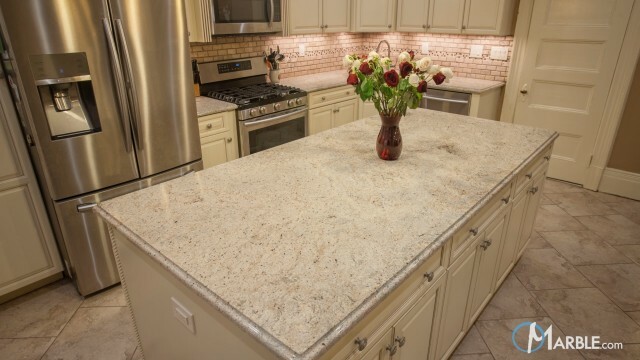 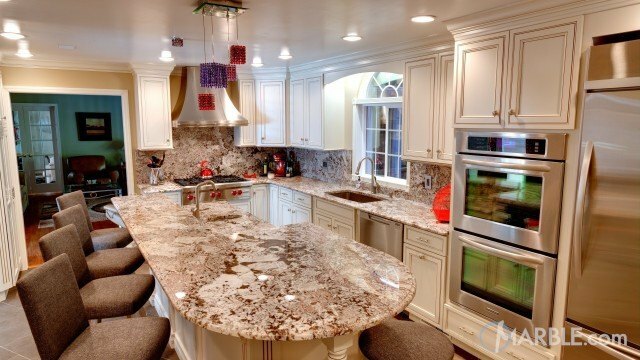 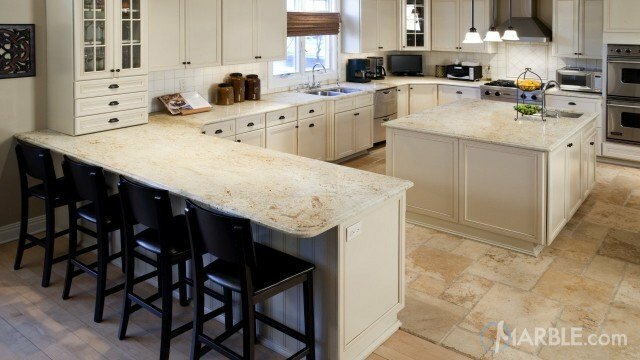 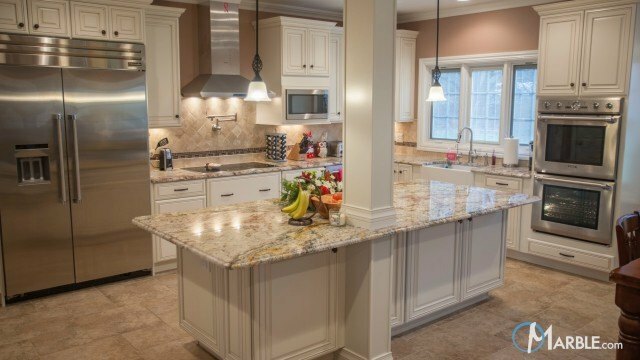 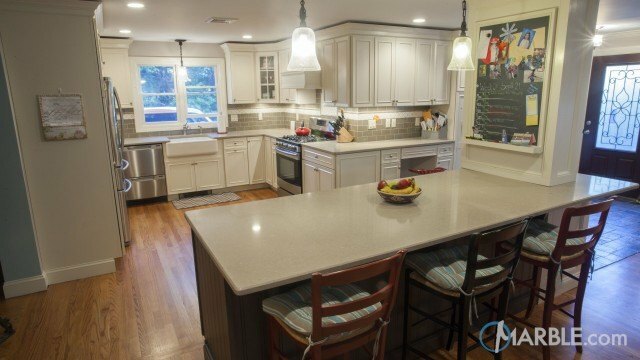 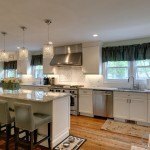 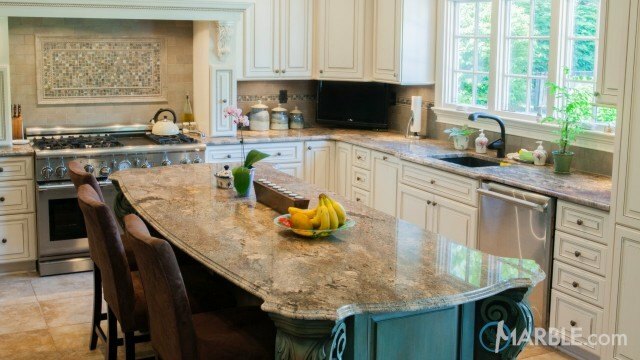 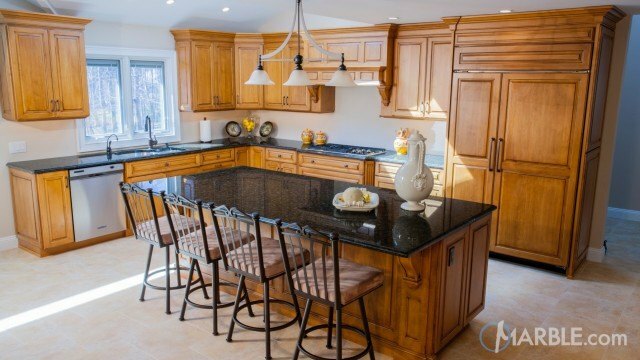 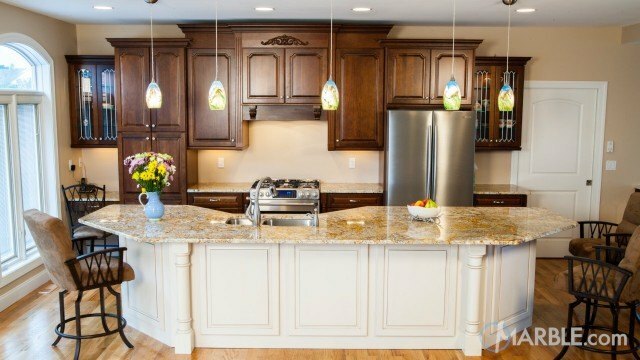 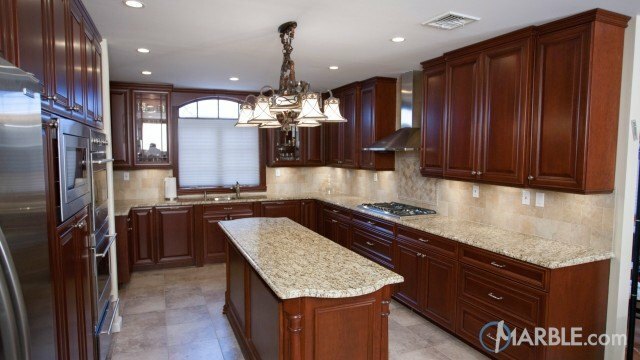 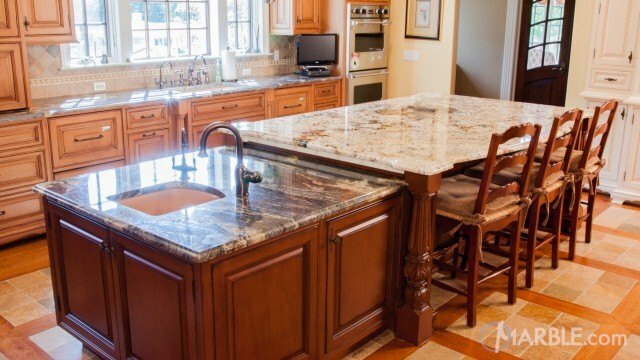 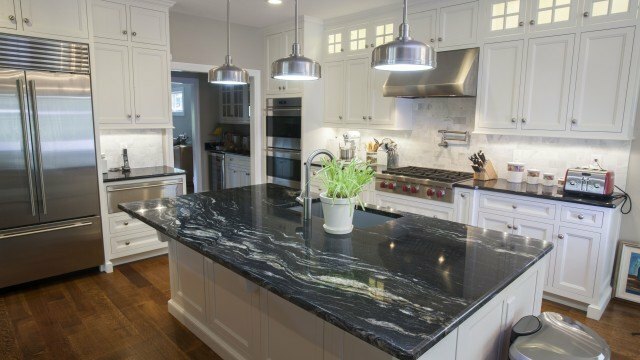 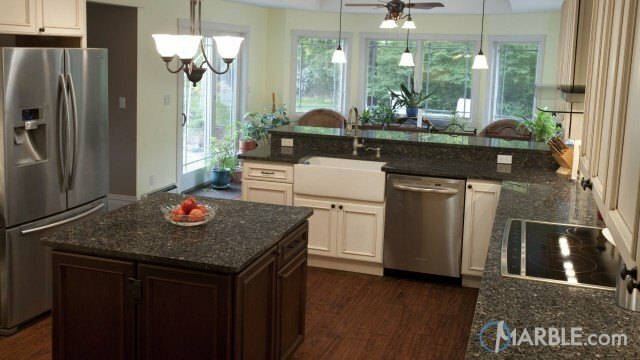 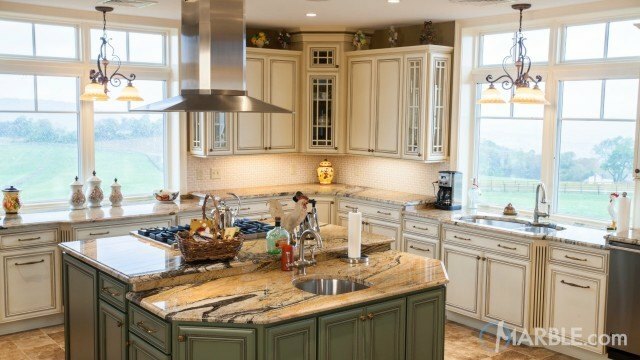 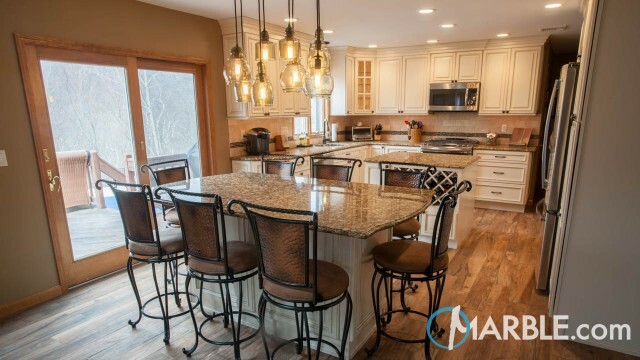 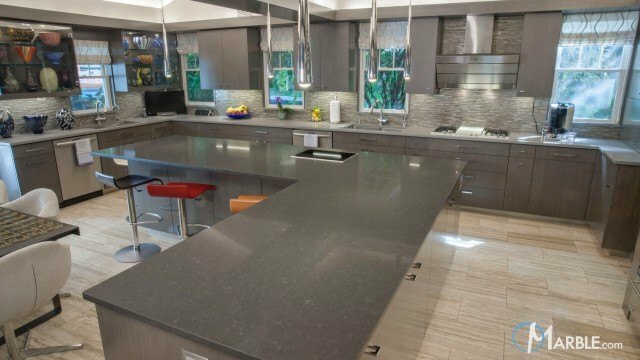 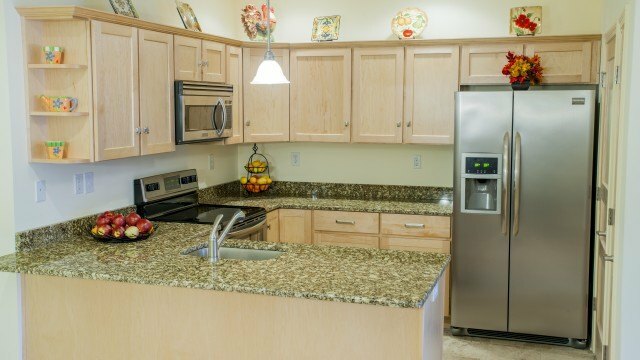 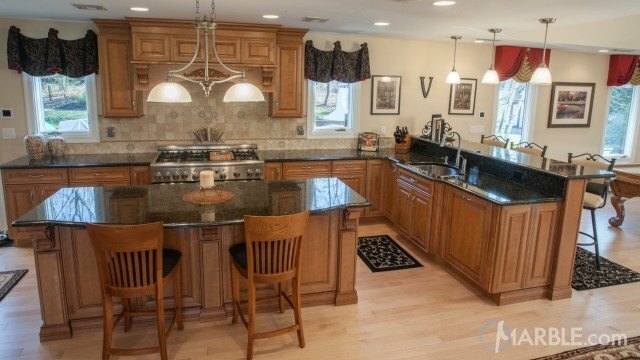 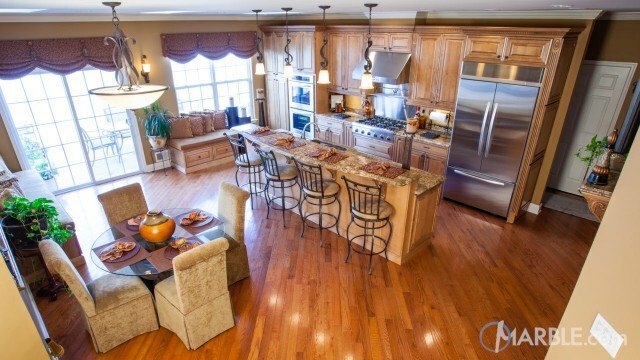 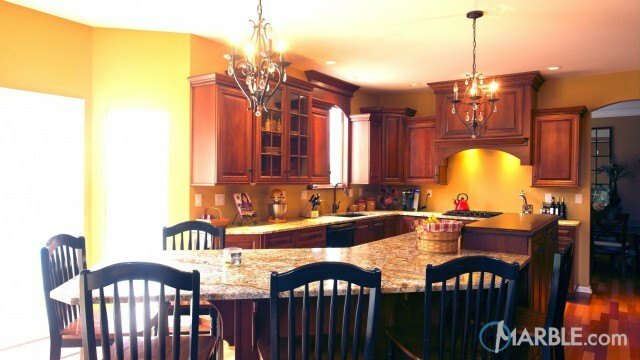 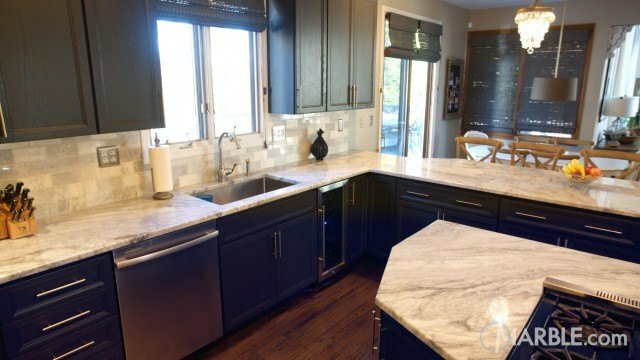 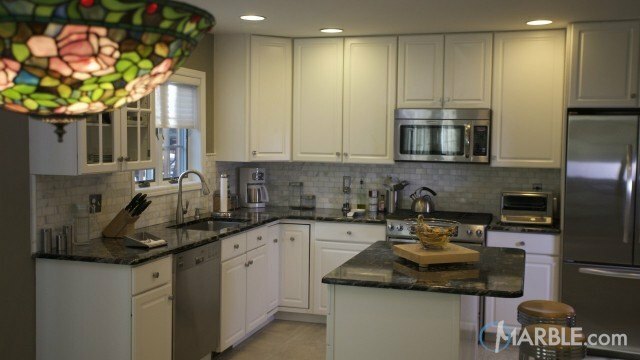 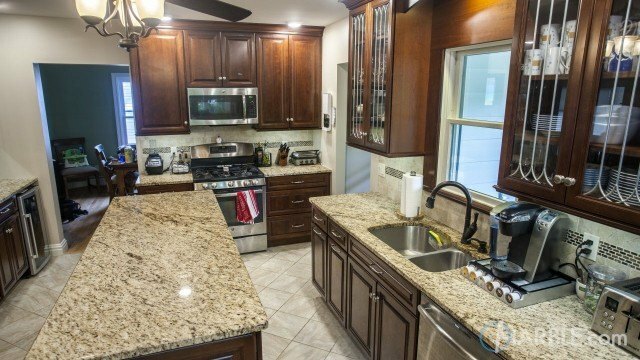 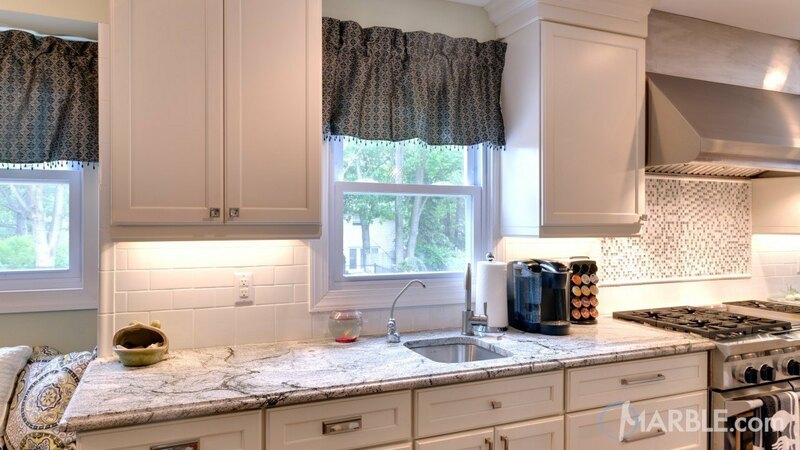 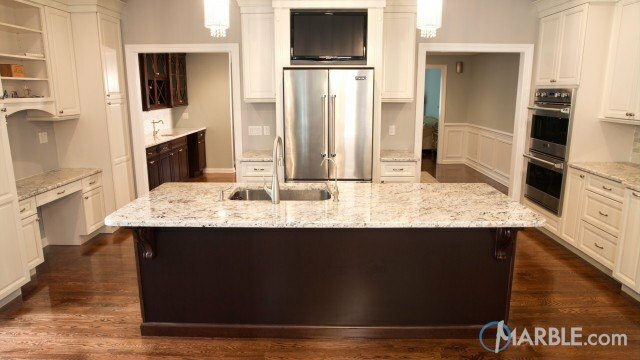 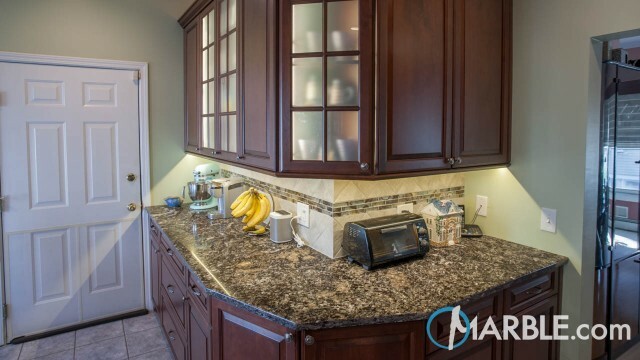 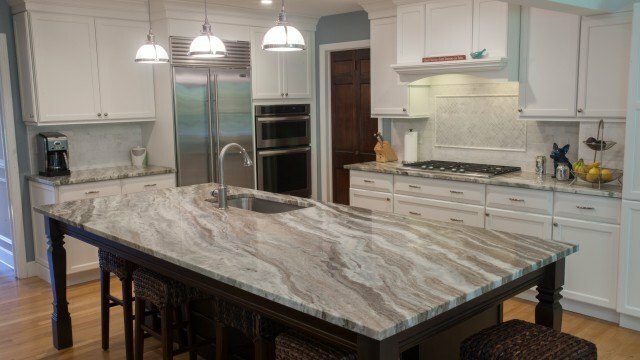 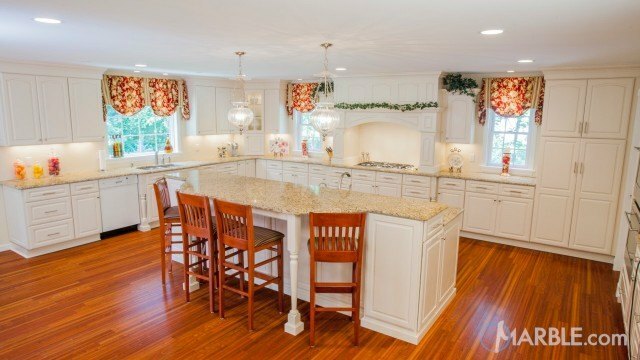 Gorgeous, light and airy, this kitchen is anchored by an Ihabella granite counter top finished with an Ogee Edge. 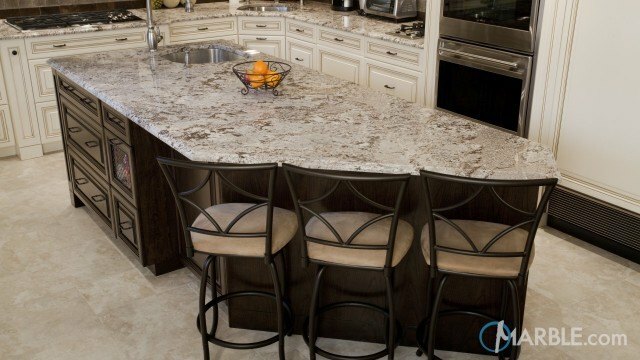 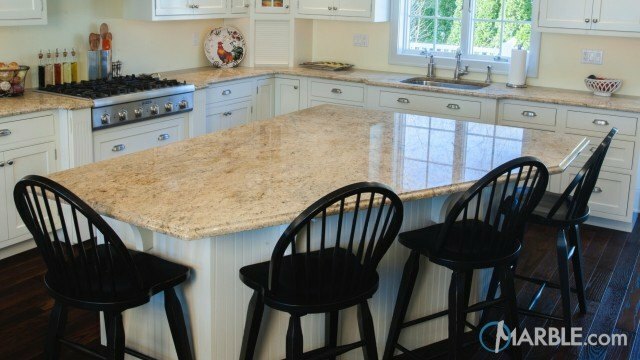 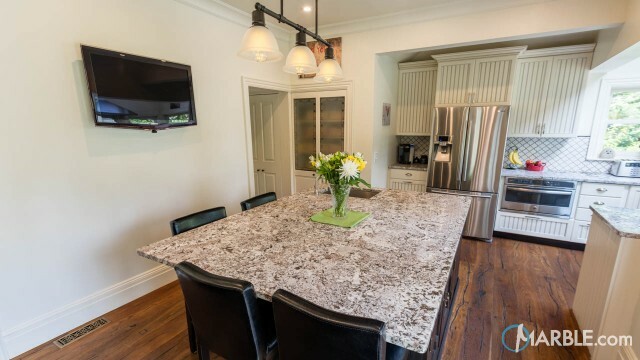 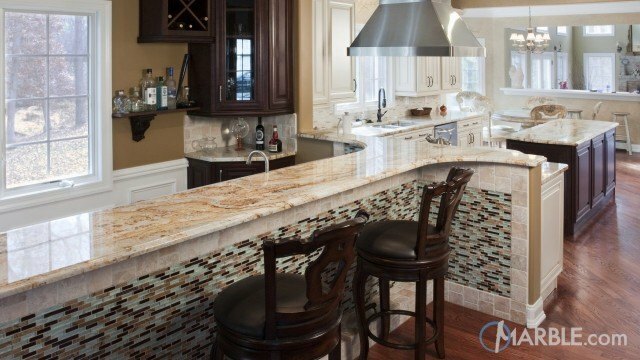 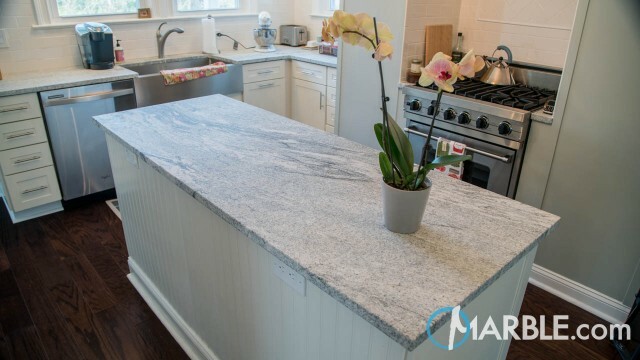 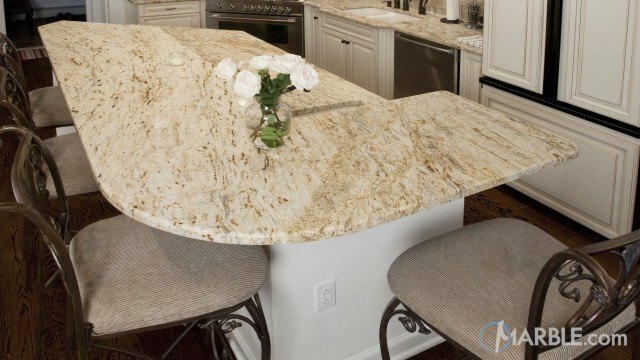 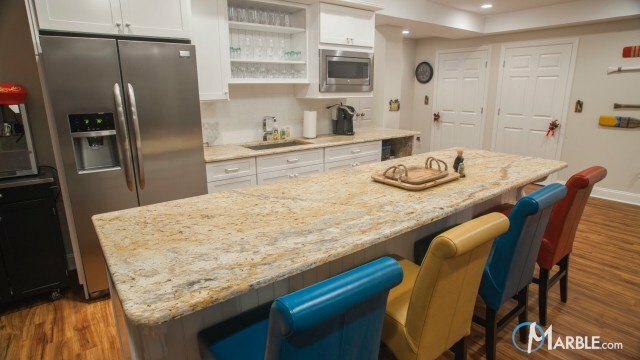 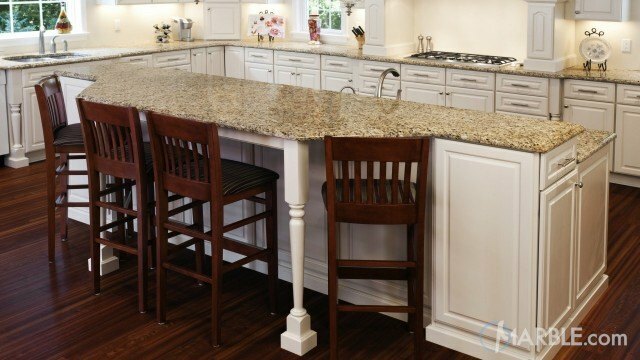 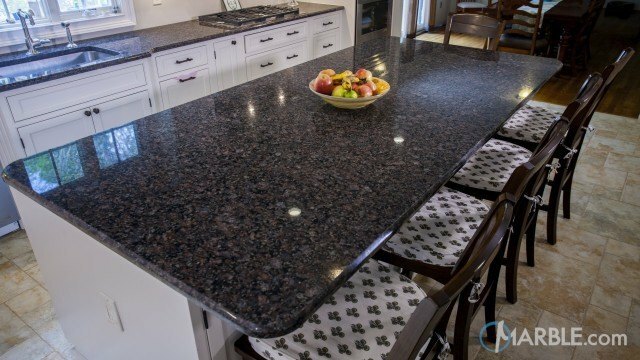 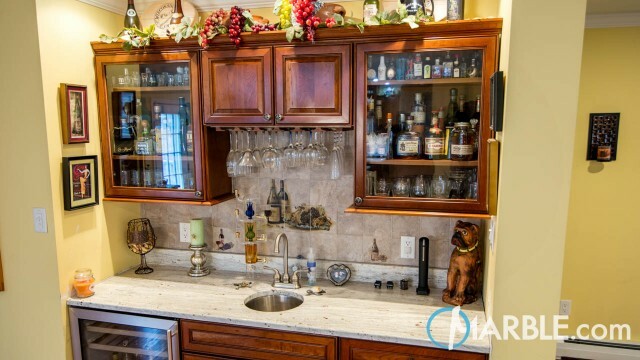 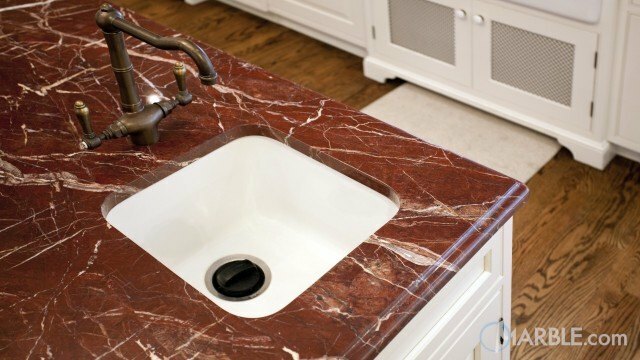 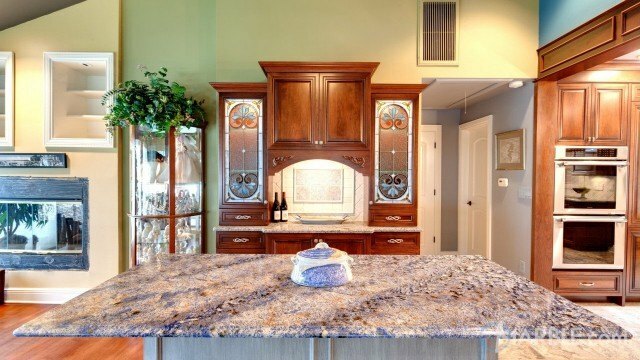 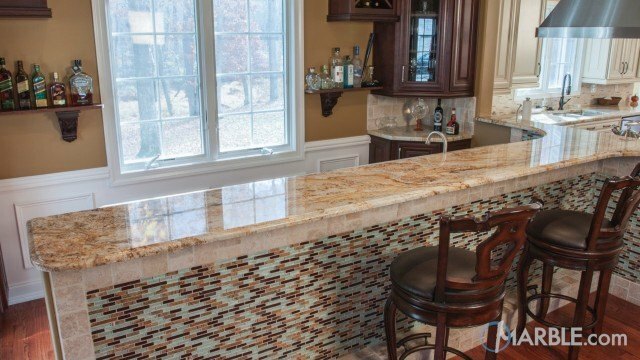 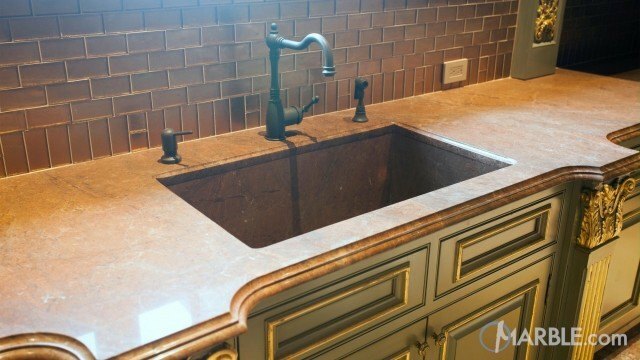 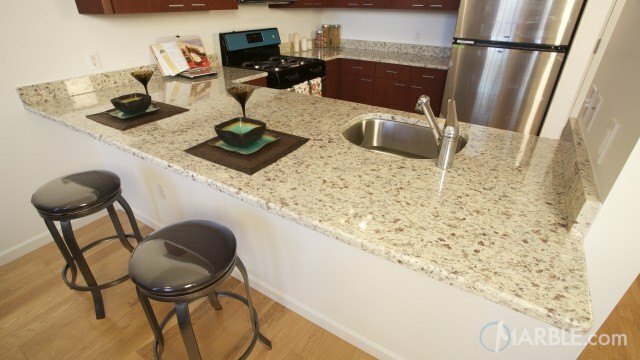 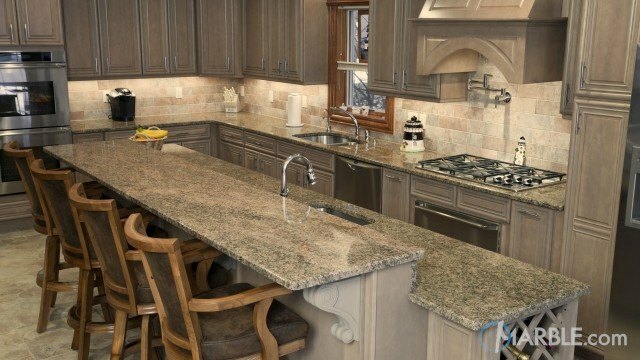 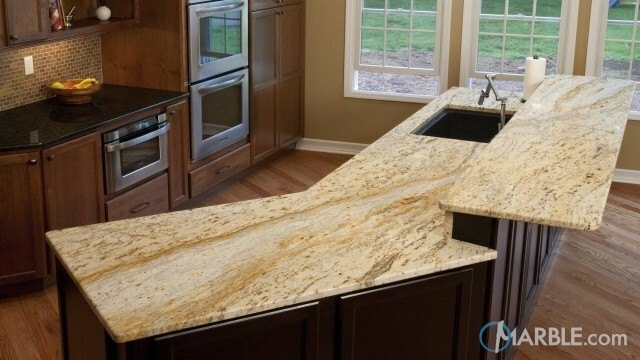 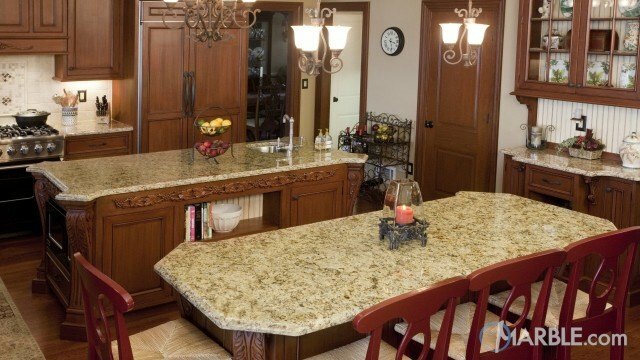 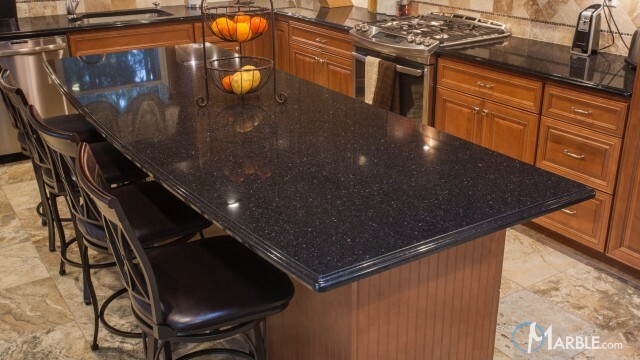 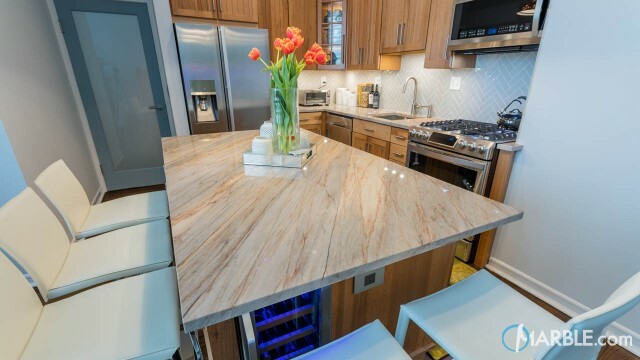 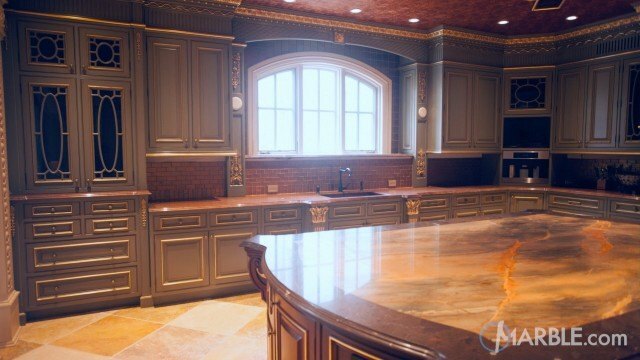 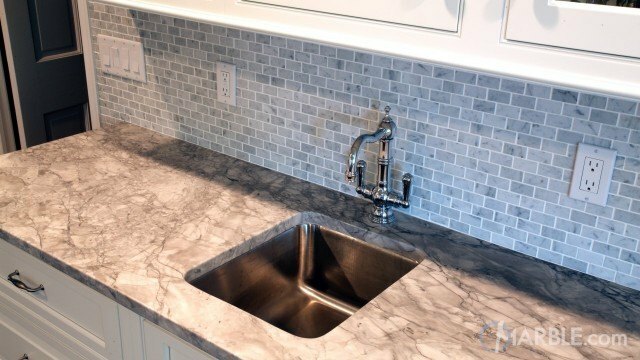 The granite overlaps the bar, which allows for comfortable seating. 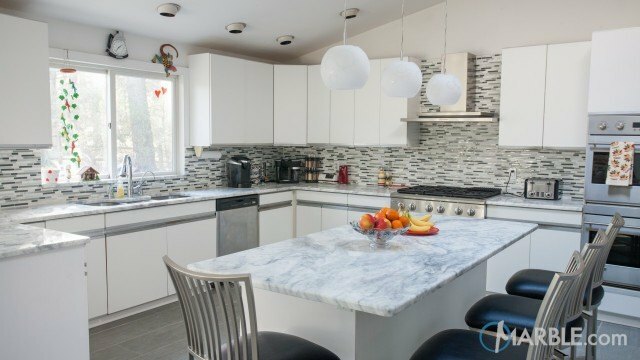 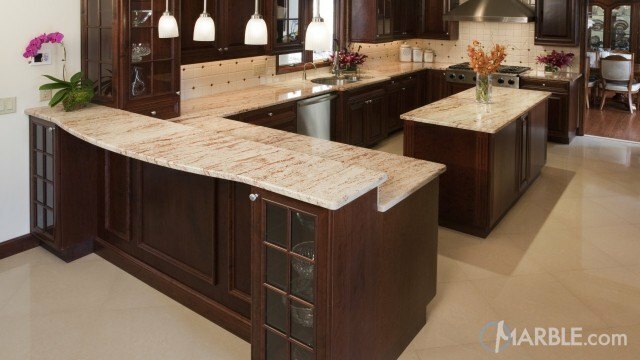 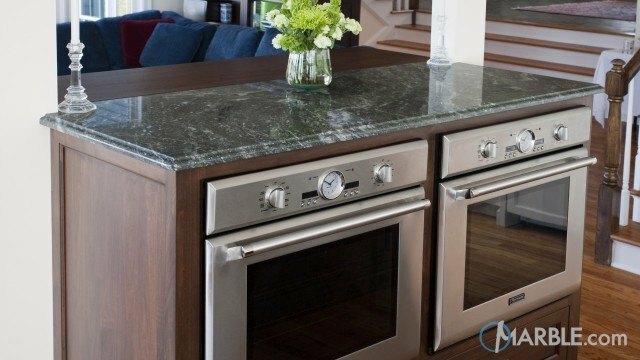 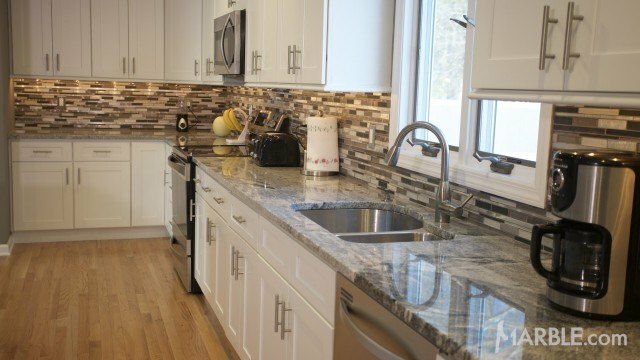 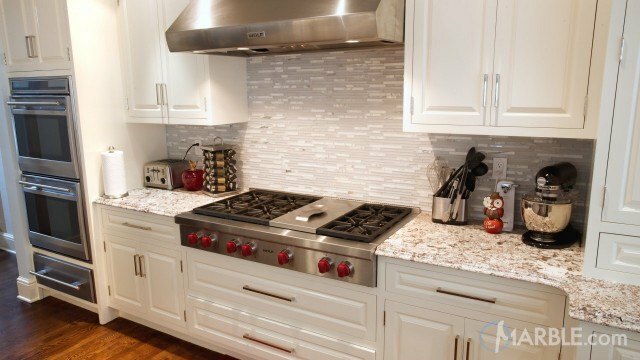 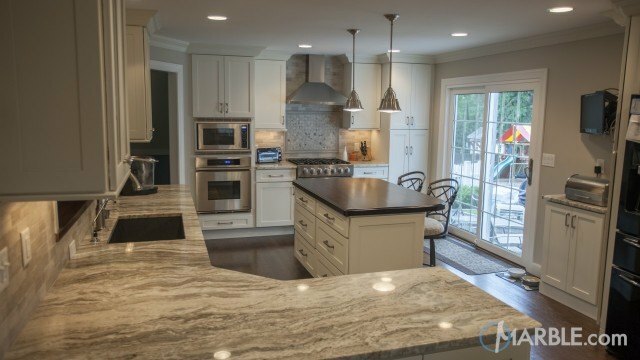 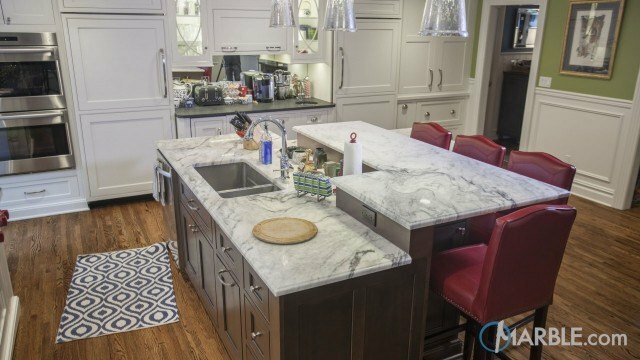 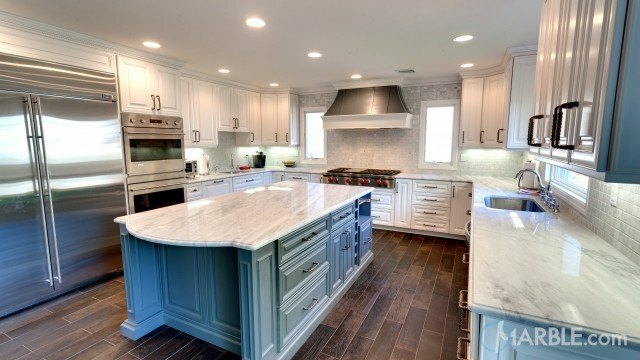 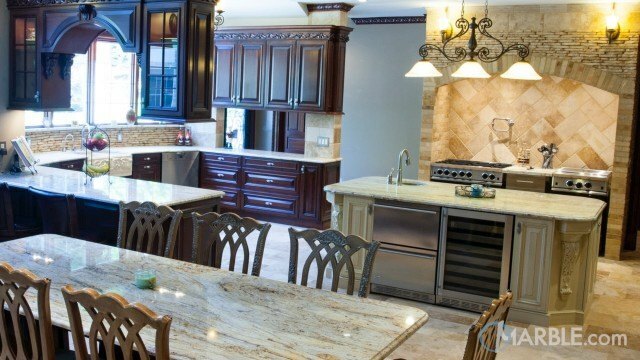 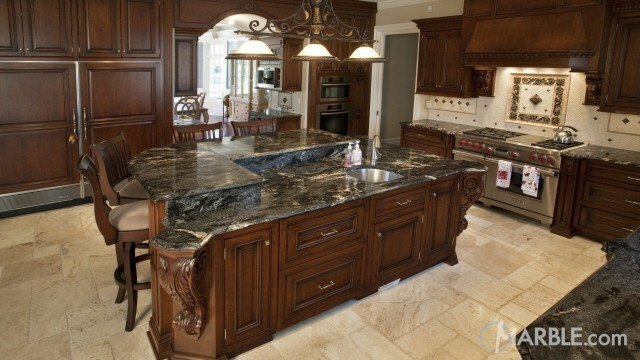 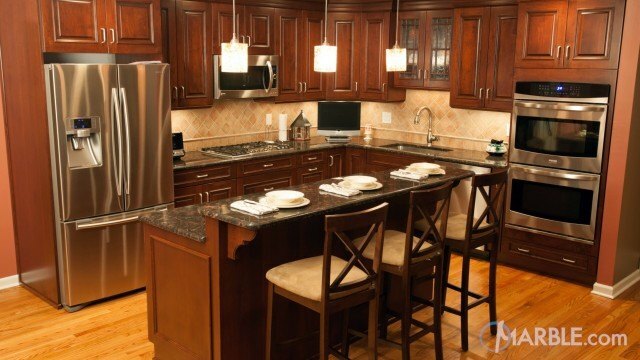 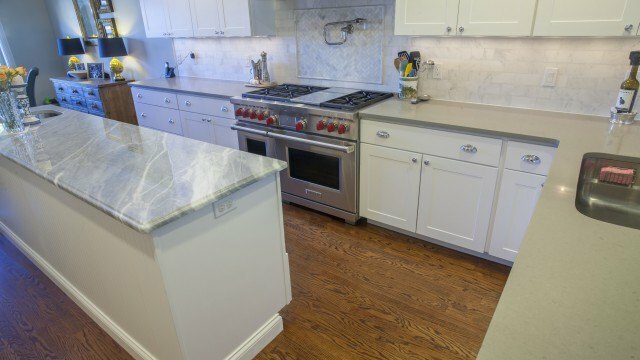 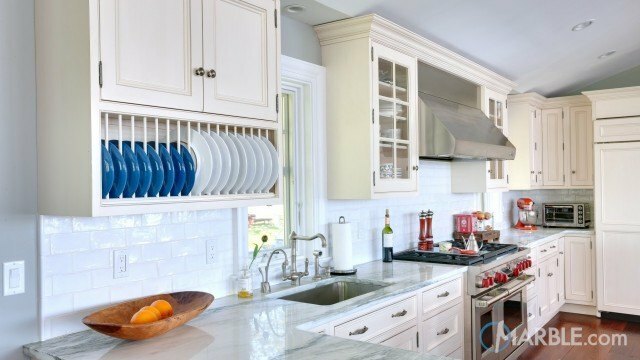 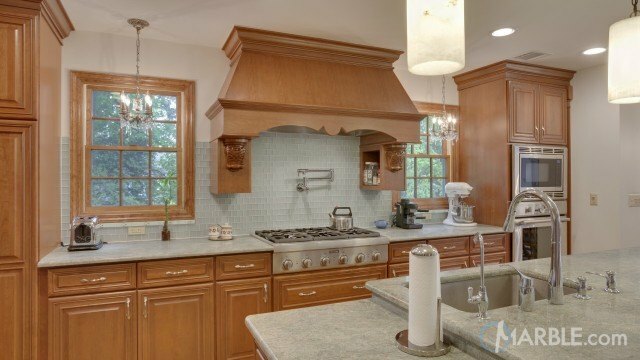 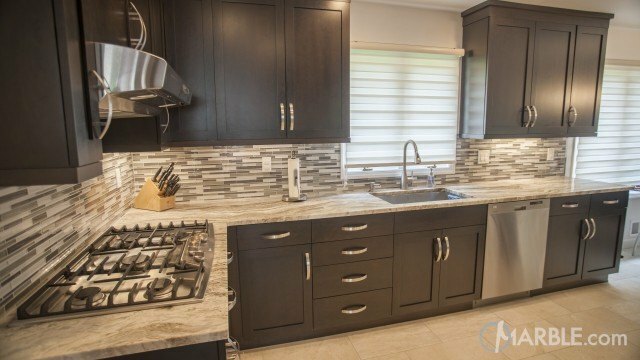 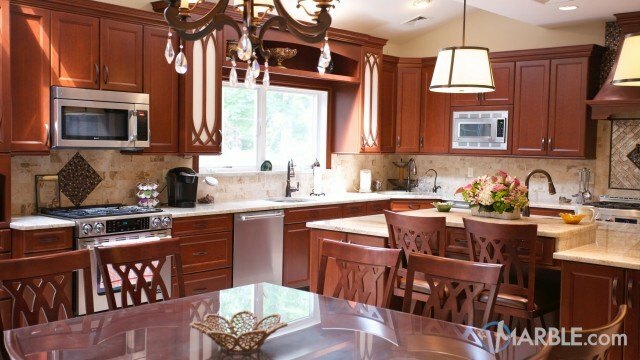 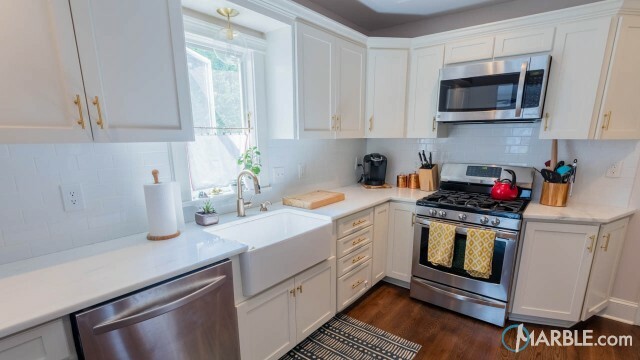 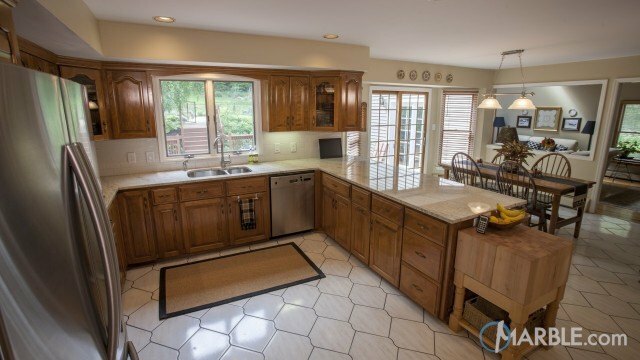 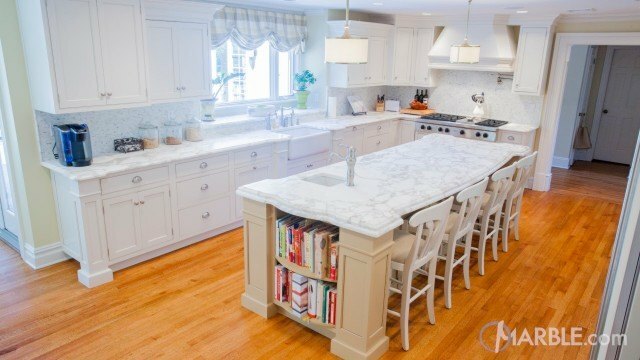 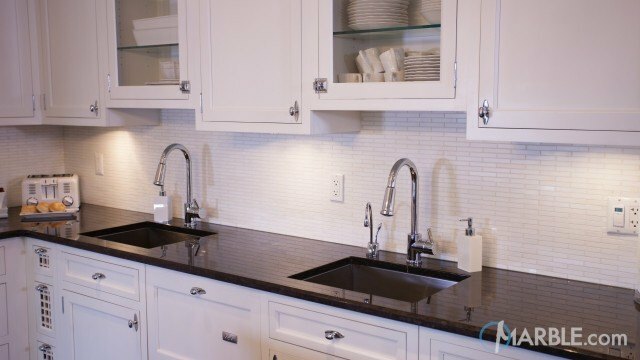 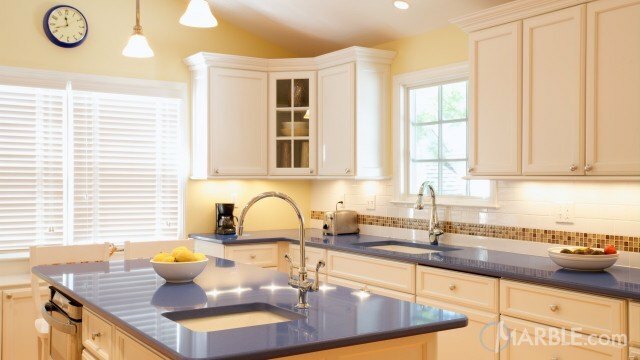 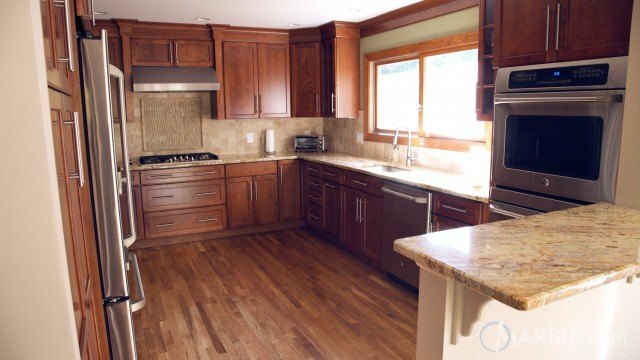 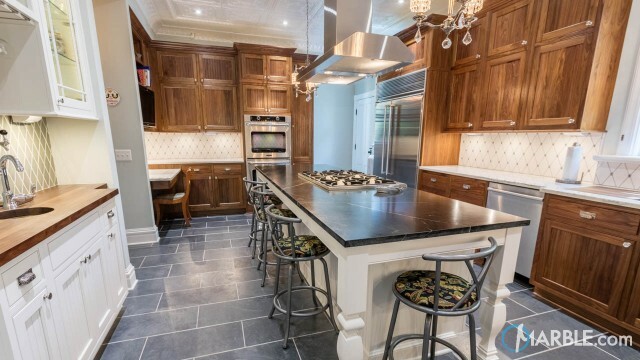 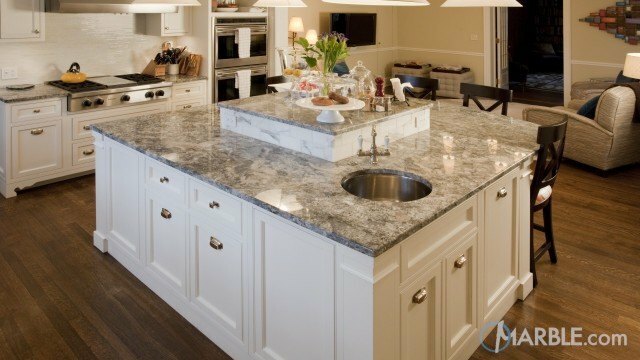 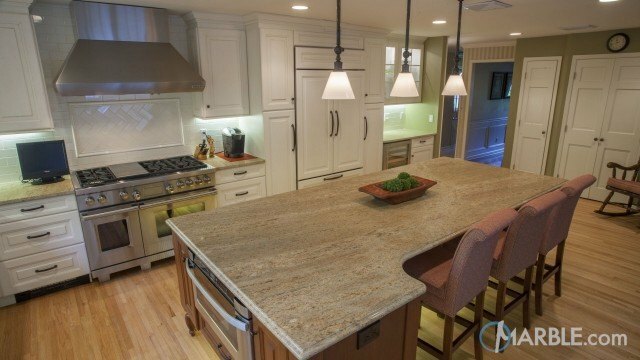 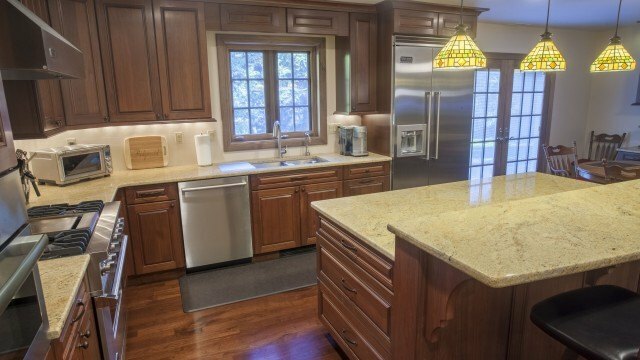 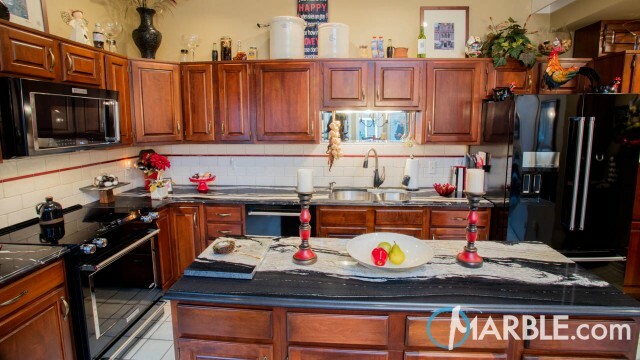 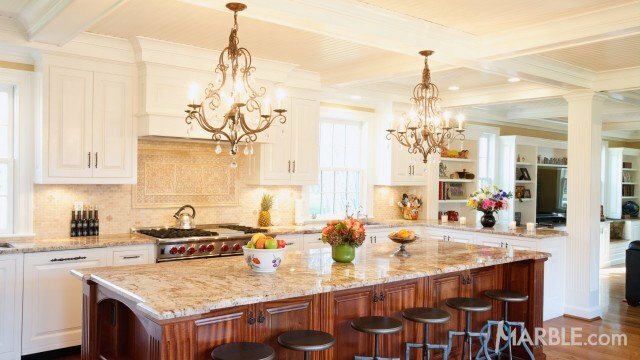 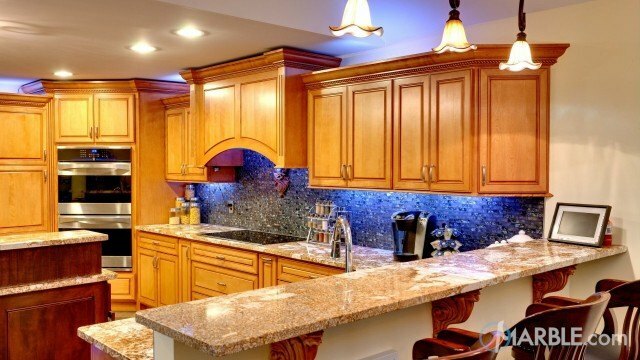 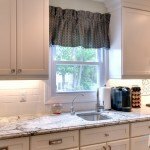 The white cabinetry is complemented by the light wood and the lines in the granite. 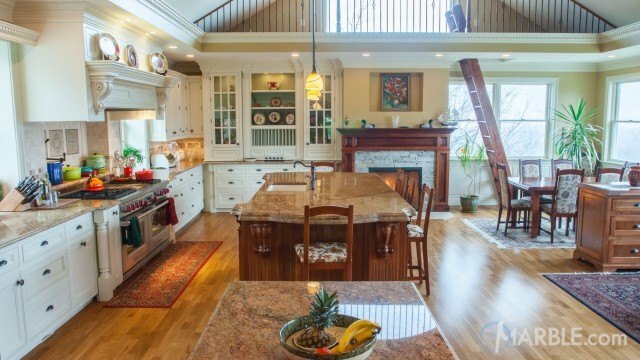 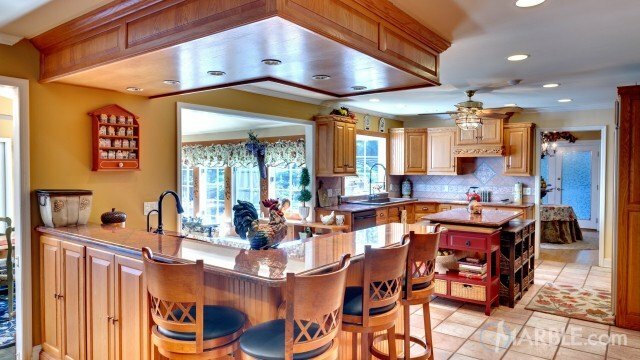 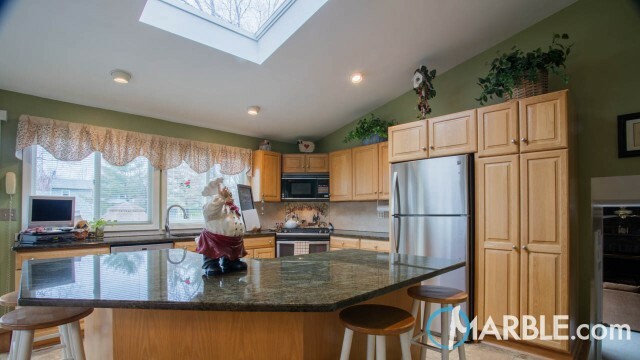 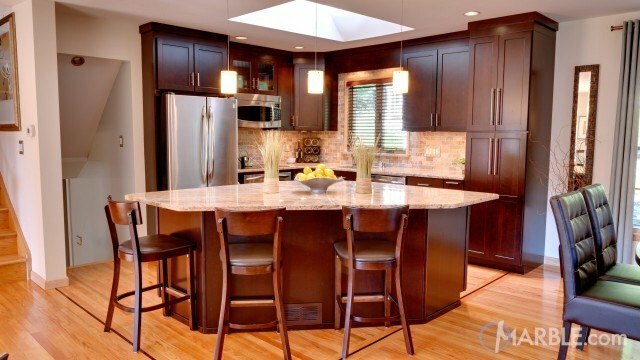 A self-enclosed refrigerator and rounded lights above the kitchen island bring everything into focus.